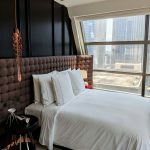 In August 2018, I checked into the Straits Club Premier Quay Room at The Fullerton Hotel Singapore, a 400-room luxury hotel which flies the Singapore flag proudly as one of the country’s most iconic hotels. 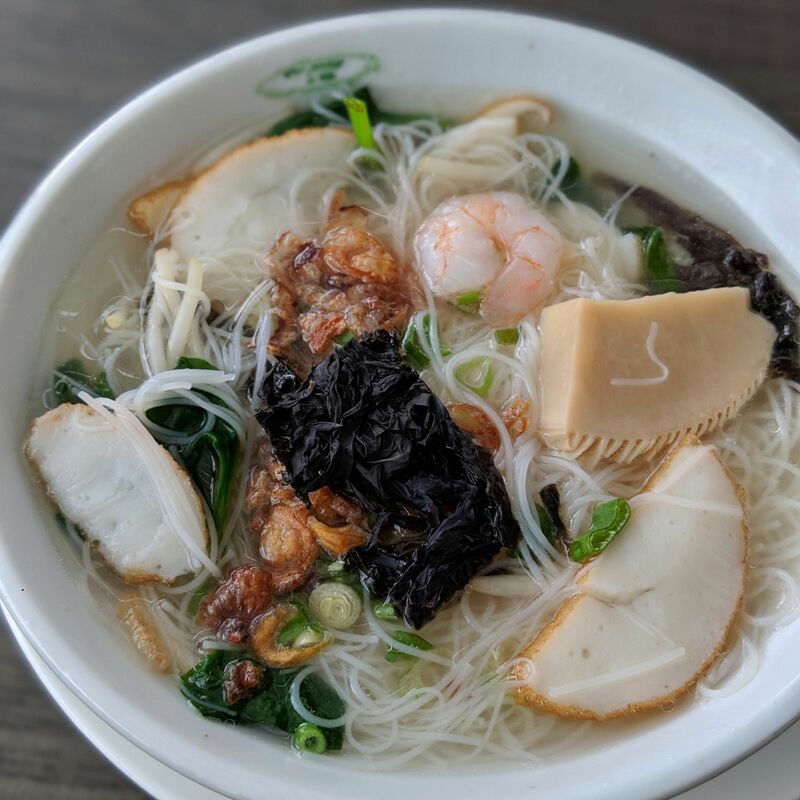 The hotel is happily located in the heart of the financial and arts districts along the Singapore River, and overlooks the Marina Bay waterfront and skyline. 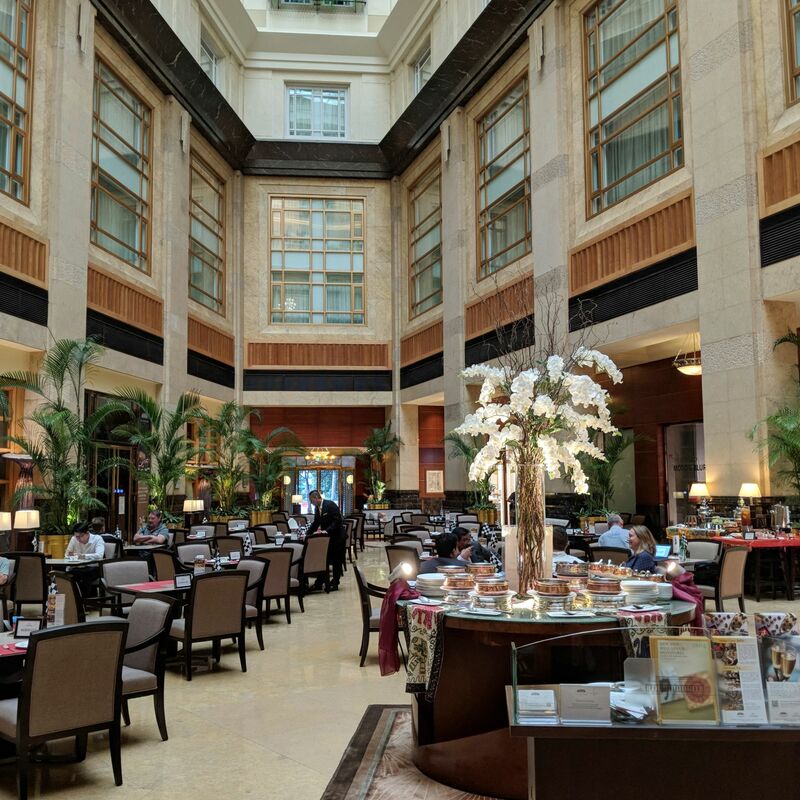 The neo-classical landmark, formerly home to the General Post Office and gazetted by the National Heritage Board as a National Monument, is an essential hotel experience for both luxury hotel enthusiasts and foreign visitors in the post-Crazy Rich Asians landscape, because what The Fullerton Hotel Singapore offers is (to paraphrase a line from the film) not just luxury, but crazy rich luxury. 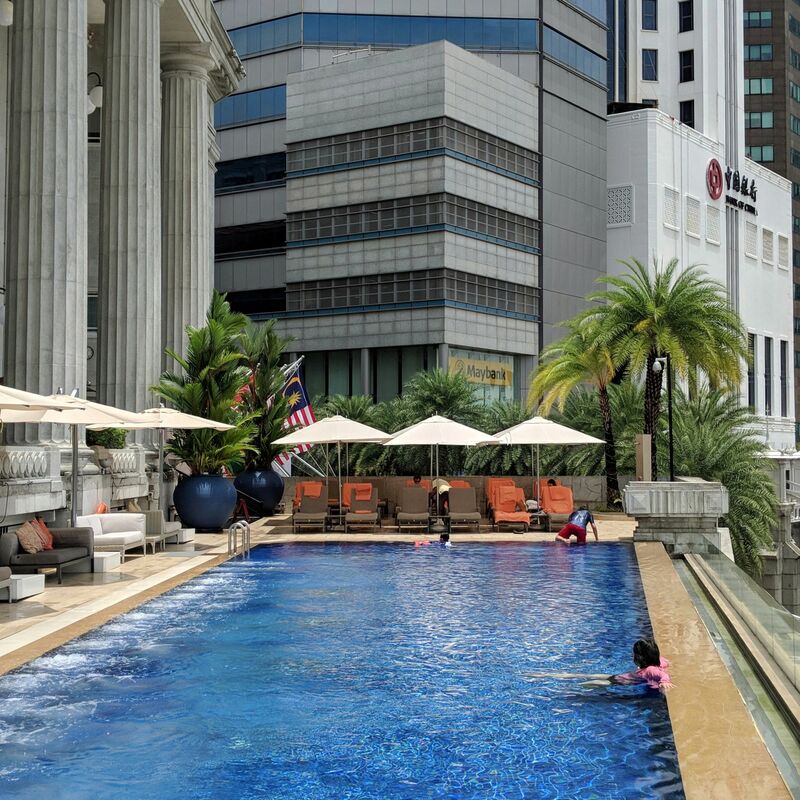 The UTW (“Under Ten Words”): Iconic Singapore heritage hotel offers unforgettable, crazy rich luxury. 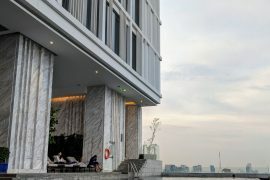 The must-dos (if any): Have champagne breakfast and evening canapes and cocktails at The Straits Club, take a dip in the infinity pool, enjoy the irresistibly-scented Bottega Veneta bathroom amenities, take a ride in a vintage Rolls Royce, go for a signature massage at The Fullerton Spa. 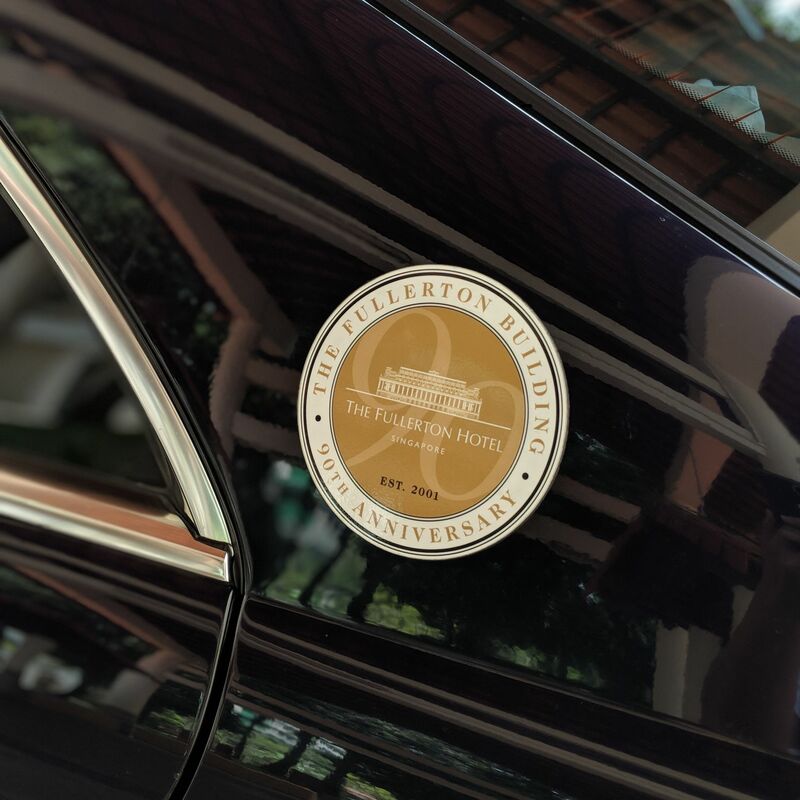 You can start your The Fullerton Hotel Singapore experience in style with swanky one-way transfers from/to your home or the airport, which are available as add-ons with your room reservation. 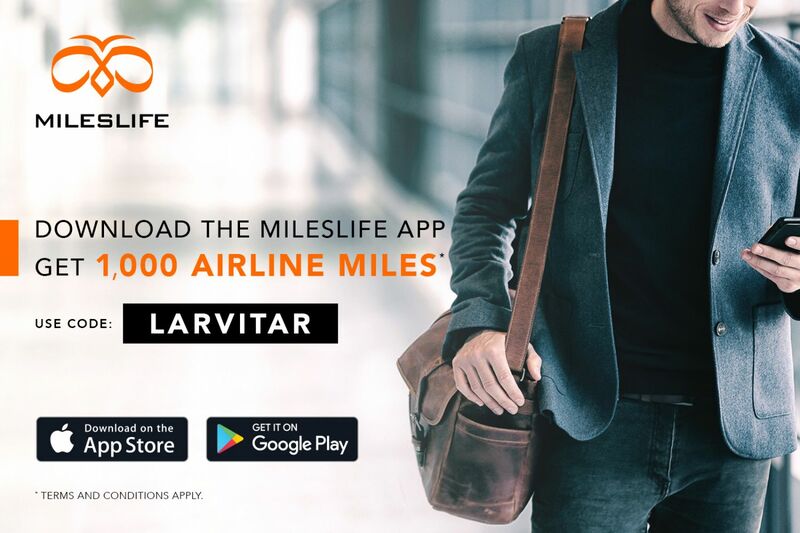 Vehicle options range from a Mercedes Benz E200 and Mercedes Benz S Class to the gloriously old-school and glamorous vintage Rolls Royce. 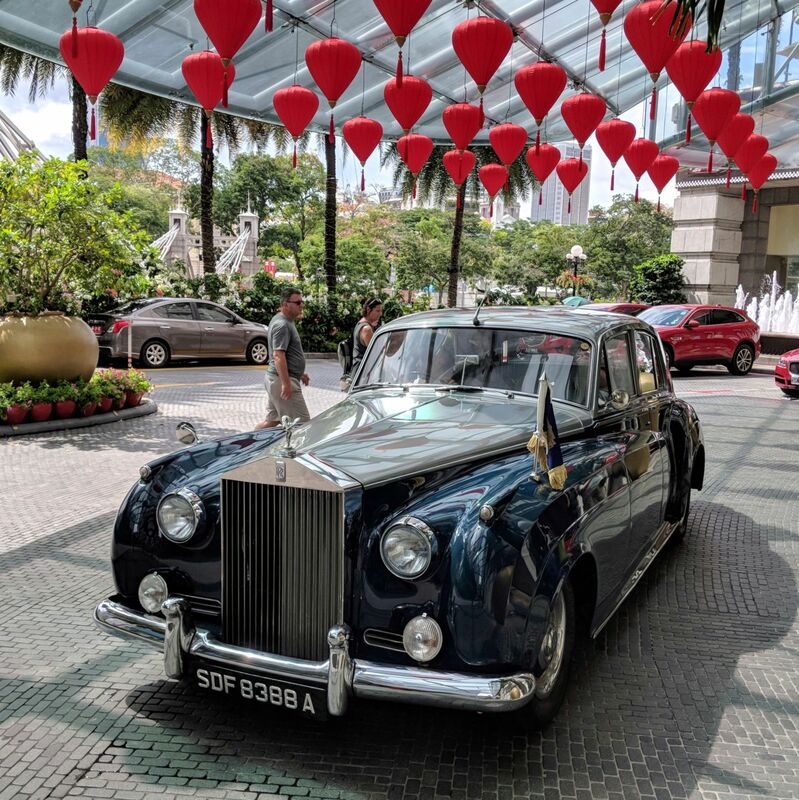 A ride in the latter is such an event that the hotel even created a package, the “Rolls Royce Privilege”, which is centred around the vintage Rolls Royce ride itself. Whilst the visual of a Mercedes Benz S Class arriving at the driveway of your HDB block to pick you up is already in itself impressive and all sorts of unreal, it is decidedly worlds apart from the vintage Rolls Royce experience, which plays it all Cinderella’s pre-midnight carriage in its princess treatment endeavours. You are likely to feel all foreign ambassador/old school Hollywood starlet during the fairly surreal experience being a passenger in the vintage car, revelling in the retro stylings of its interiors while the flag flaps dramatically at the front of the vehicle, especially when you realise how much attention the vehicle garners from gawking passers-by at the point of boarding/alighting as well as throughout the journey while on the road. I should have rehearsed my beauty pageant/presidential wave in advance. 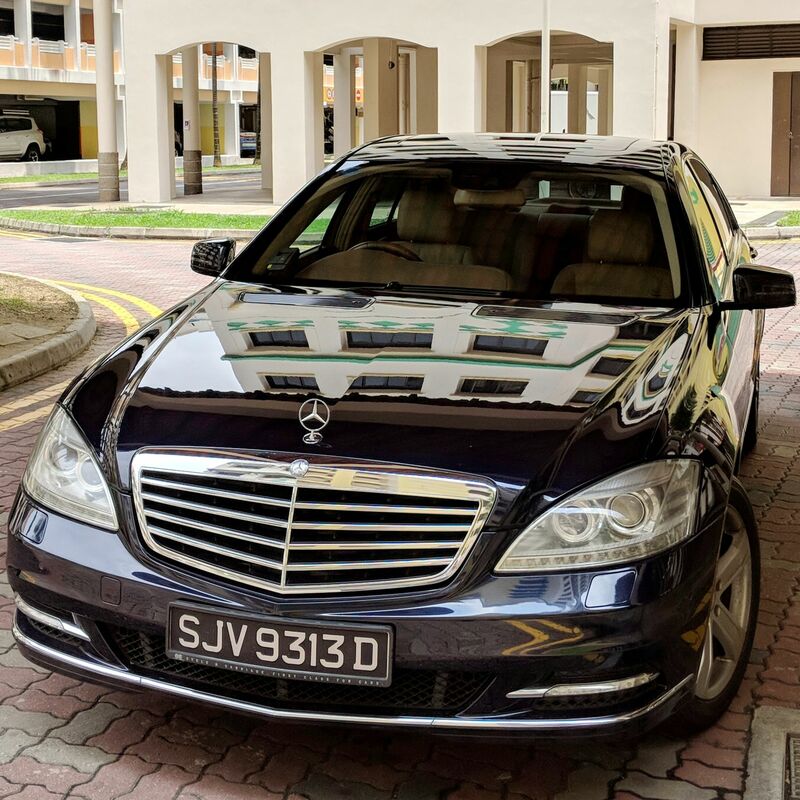 Transfer, Mercedes Benz S Class (The Fullerton Hotel Singapore). 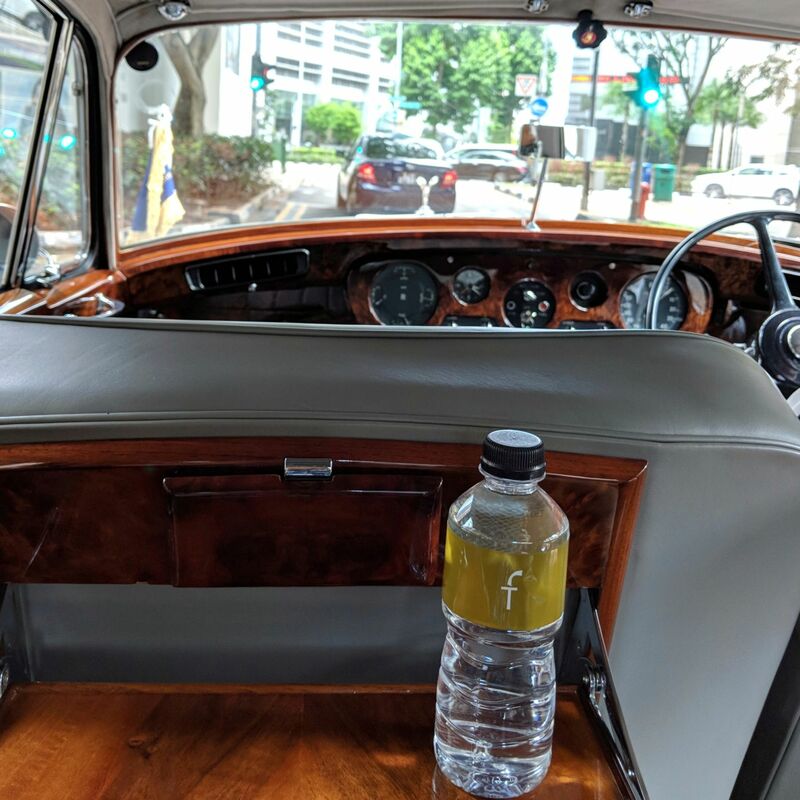 Transfer, Vintage Rolls Royce (The Fullerton Hotel Singapore). 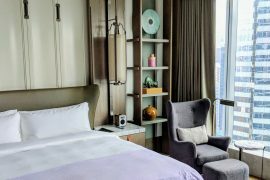 The 36sqm Straits Club Premier Quay Room is a popular room category as it squarely faces the Marina Bay waterfront. 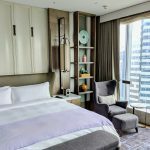 The Straits Club Premier Quay Room is equipped with a king bed and work desk, and guests can enjoy access to the Straits Club lounge which is happily situated on the same floor. 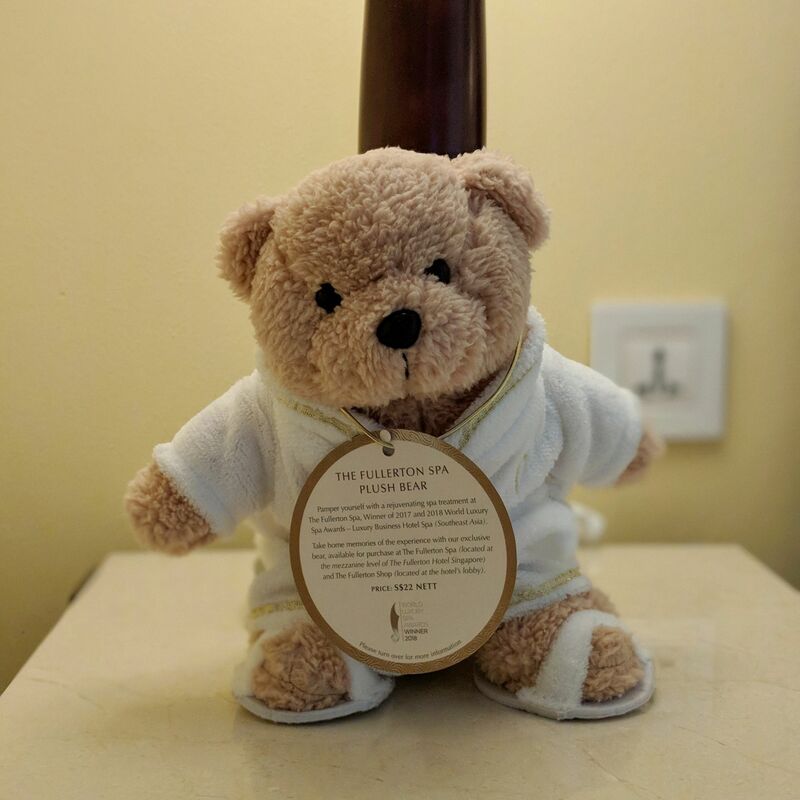 Each room comes with a Fullerton plush bear as well as a Fullerton Merlion by your bedside, but the cute creatures are your companions only for the duration of your stay (they are, however, available for sale at the Fullerton Shop on the ground floor). 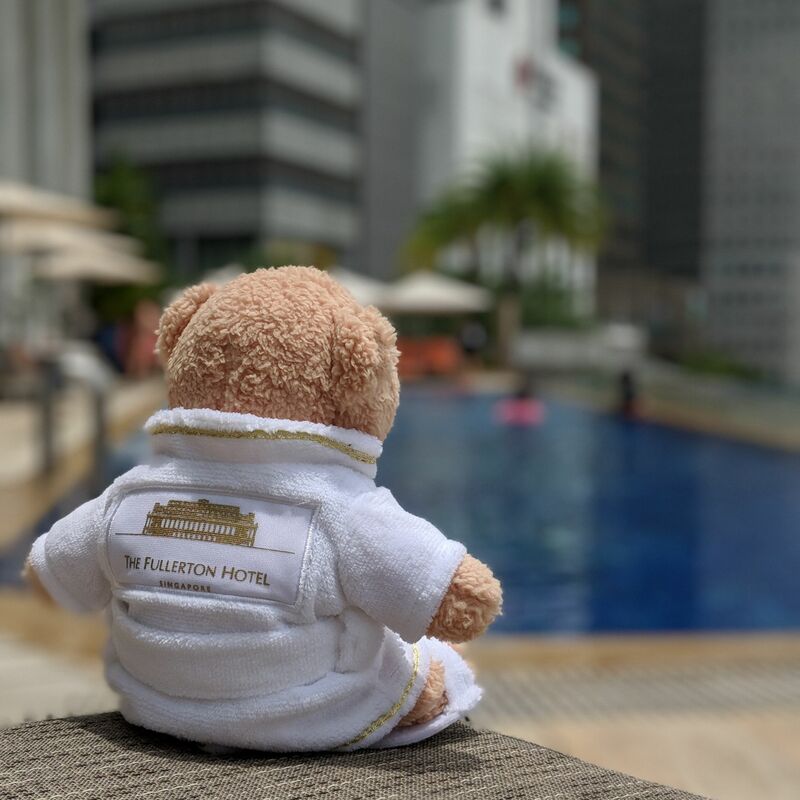 I adopted a lovable Fullerton Spa plush bear and thought I was being smart when I named him Robby (as in Robert Fullerton, the first governor of the Straits Settlements whom the hotel is named after), only to realise later that the hotel’s male mascot is already called Robby. Oh well. The Fullerton bathrobe is lovingly soft and luxurious, and reminded of the ethereal Boca Terry bathrobe from Waldorf Astoria Bangkok. The marbled bathroom is fairly large in size, with a bathtub for your soaking pleasure and a separate rain shower stall. 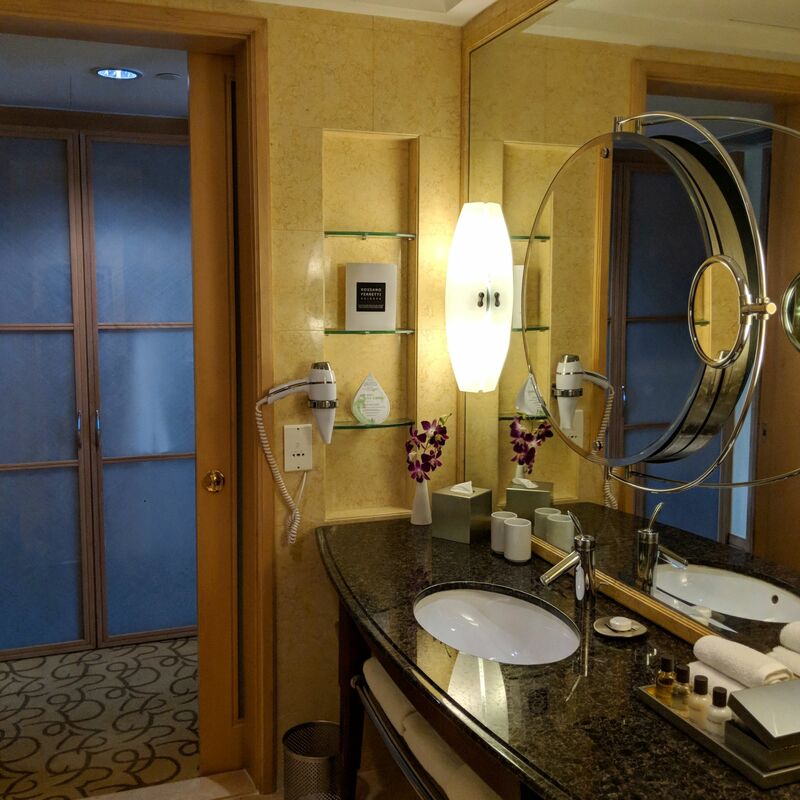 The hairdryer is conveniently located next to the bathroom vanity. Bathroom amenities are from Bottega Veneta, and these marvellous high SES (socioeconomic status) amenities are instantly one of my favourite bathroom amenities ever, being luxuriously perfumed and leaving you smelling like an upper-floor ION luxury boutique even hours after your shower. I confess that I pilfered many, many sets (not bottles, but complete sets) to take home. My only gripe with the Straits Club Premier Quay Room (which is a comment likely to apply to most, if not all, room categories in the hotel) is that the edges of the bed frames, which extend past the edge of the mattresses, are sinister little devils, hiding behind the bed sheets like mischievous toyol waiting to inflict vicious pain on bumbling mortals. I knocked my knee against the corner of the bed frame at least five times throughout the stay, and my knees are actually bruised by the end of it all. Cruel, cruel bed. Straits Club Premier Quay (The Fullerton Hotel Singapore). Bathroom, Straits Club Premier Quay (The Fullerton Hotel Singapore). 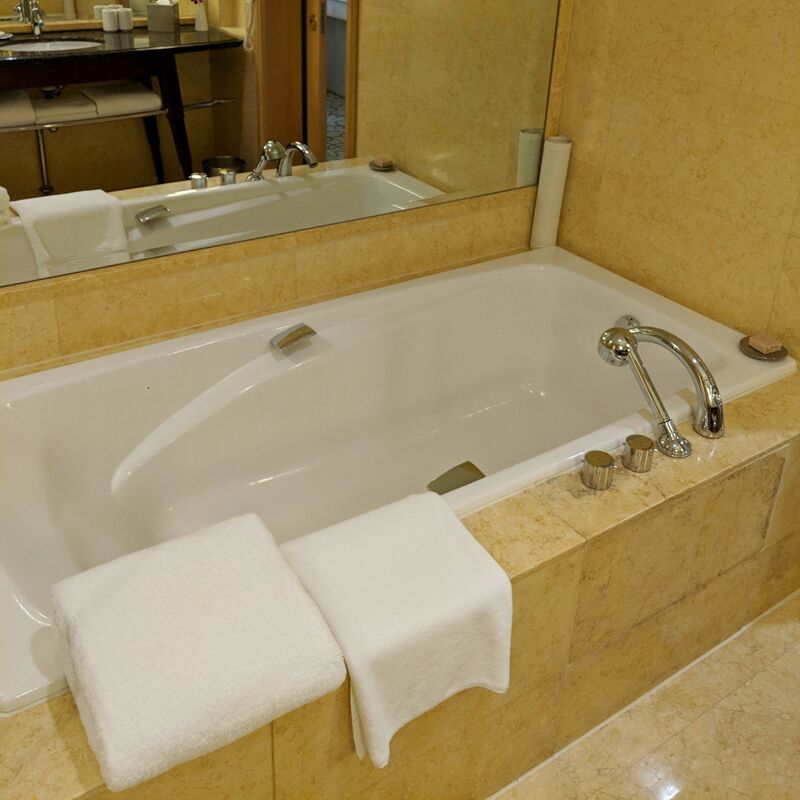 Bathtub, Straits Club Premier Quay (The Fullerton Hotel Singapore). Amenities, Straits Club Premier Quay (The Fullerton Hotel Singapore). 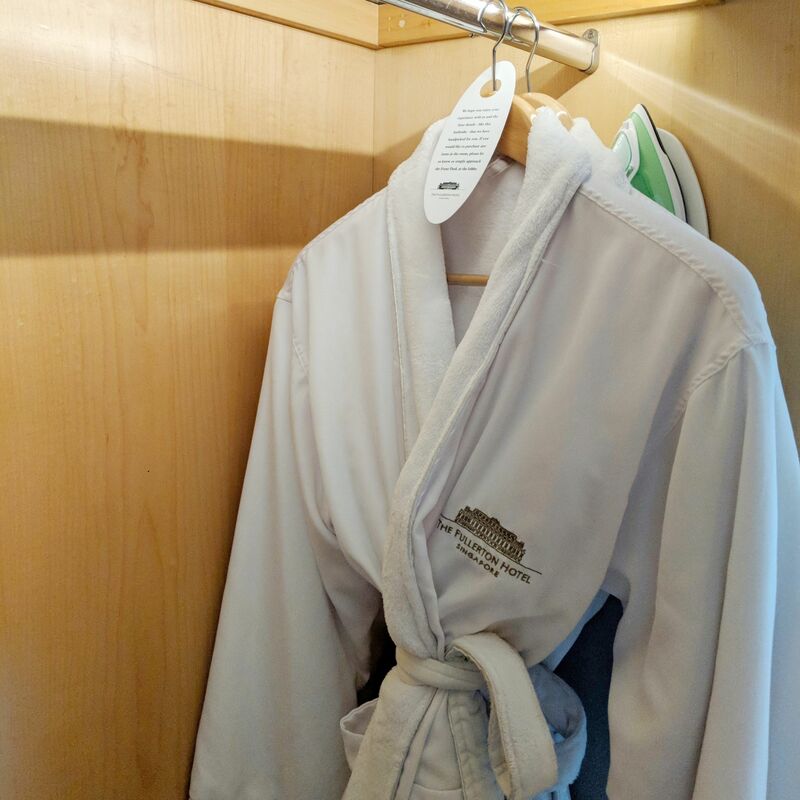 Bathrobe, Straits Club Premier Quay (The Fullerton Hotel Singapore). Mini Bar, Straits Club Premier Quay (The Fullerton Hotel Singapore). 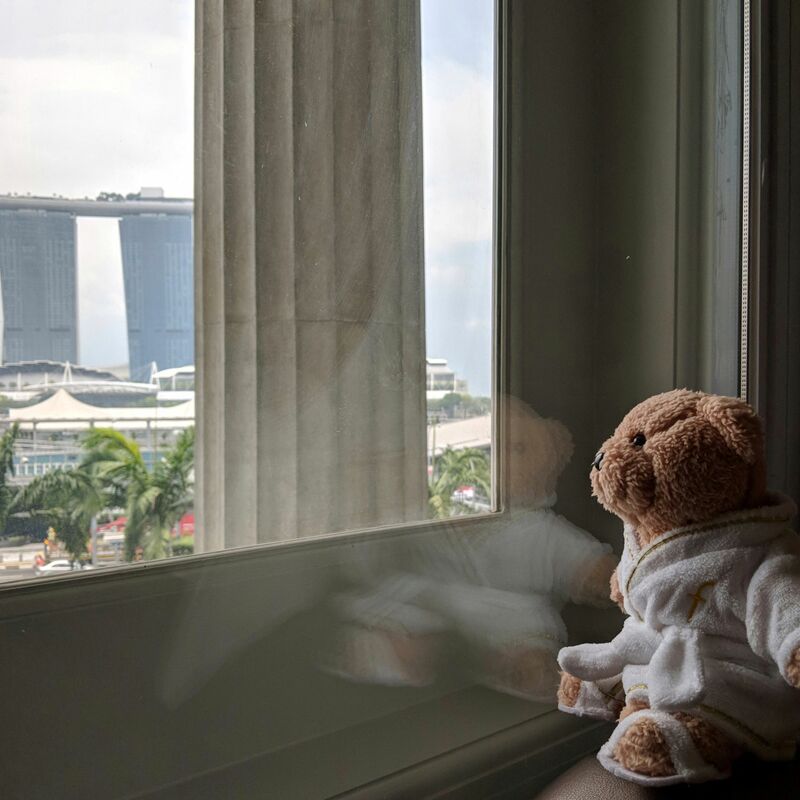 The Fullerton Spa Plush Bear (The Fullerton Hotel Singapore). 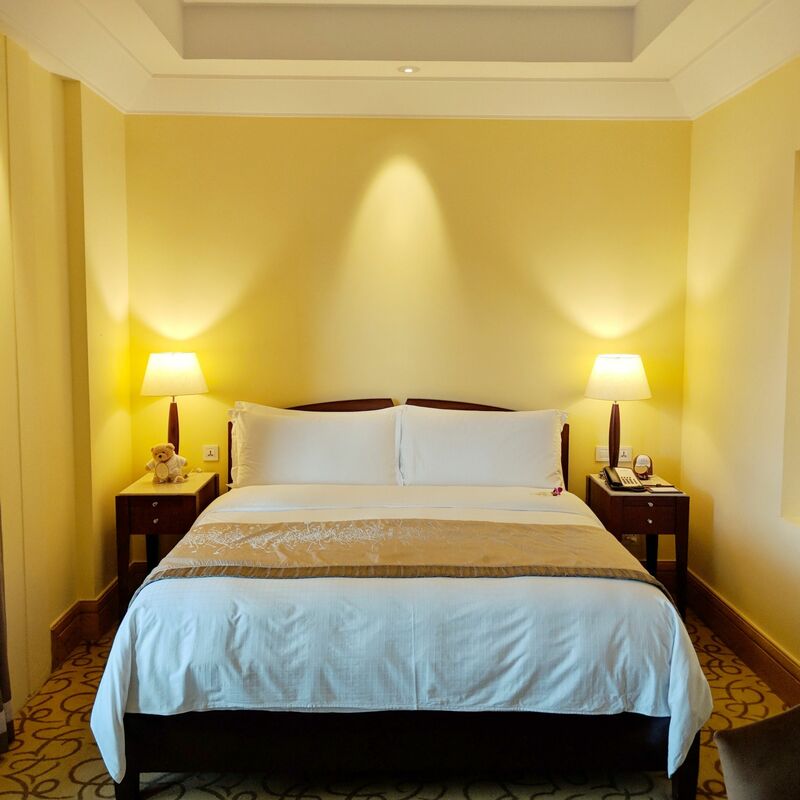 The hotel shares its rich history with hotel guests through descriptions and stories on various plaques and displays throughout the property. You can find these along the corridors of the guest floors (a plaque near the elevator on the 4th floor reveals that the floor once housed facilities such as the dining hall, library and billiard room of the Singapore Club, an exclusive social club formed in 1862 for the ruling colonial elite) as well as along the underground walkway connecting the The Fullerton Hotel Singapore to The Fullerton Bay Hotel Singapore (a display lists offices such as the Monetary Authority of Singapore which used to be within the property, as well as notable alumni who used to work in the building such as the late former president S R Nathan). 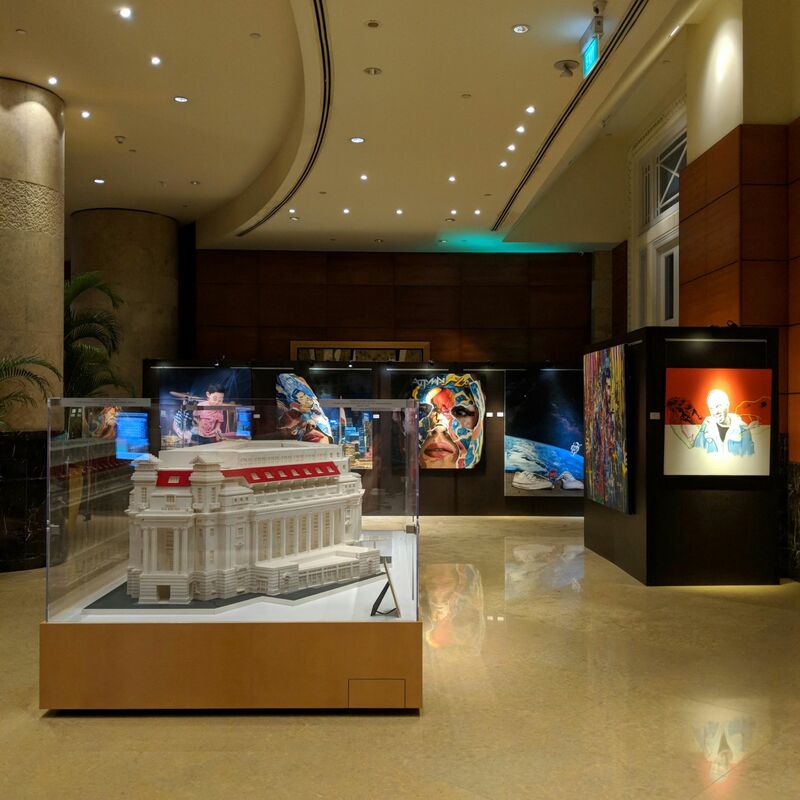 The hotel’s ground floor houses two art gallery spaces: The Fullerton Heritage Gallery, which showcases the rich heritage and history of the property and precinct through rare photographs, postal artefacts, recordings and interactive features, and the East Garden Foyer Gallery, which serves as a dedicated stage for various rotating exhibitions and notably exhibits an exquisite miniature version of the LEGO Fullerton Building which comprises 478,500 bricks. 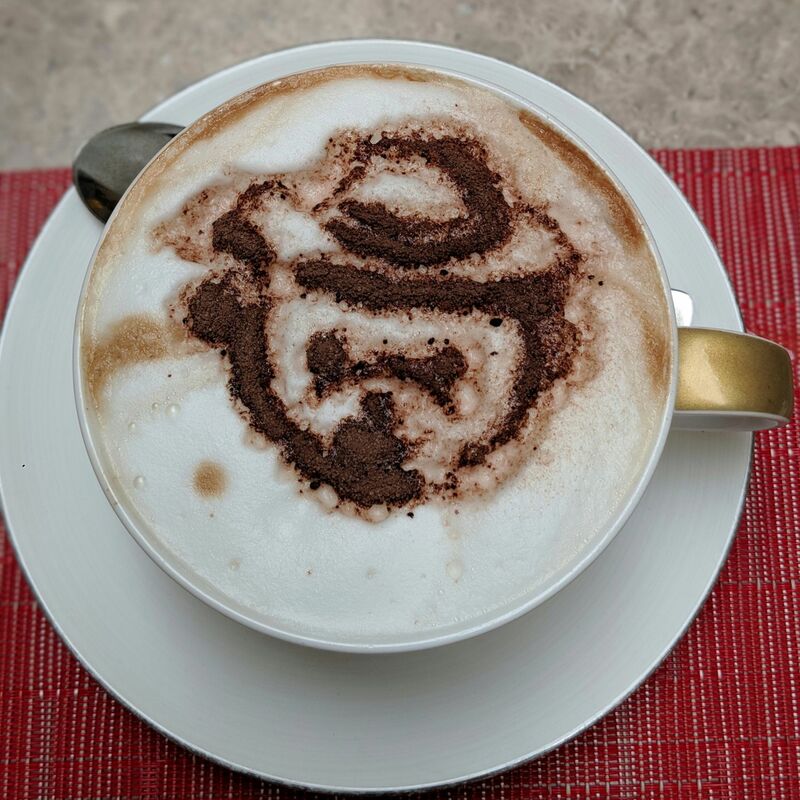 Also located on the ground floor, The Fullerton Shop features a range of Fullerton merchandise such as postcards, key chains and even coffee table books. 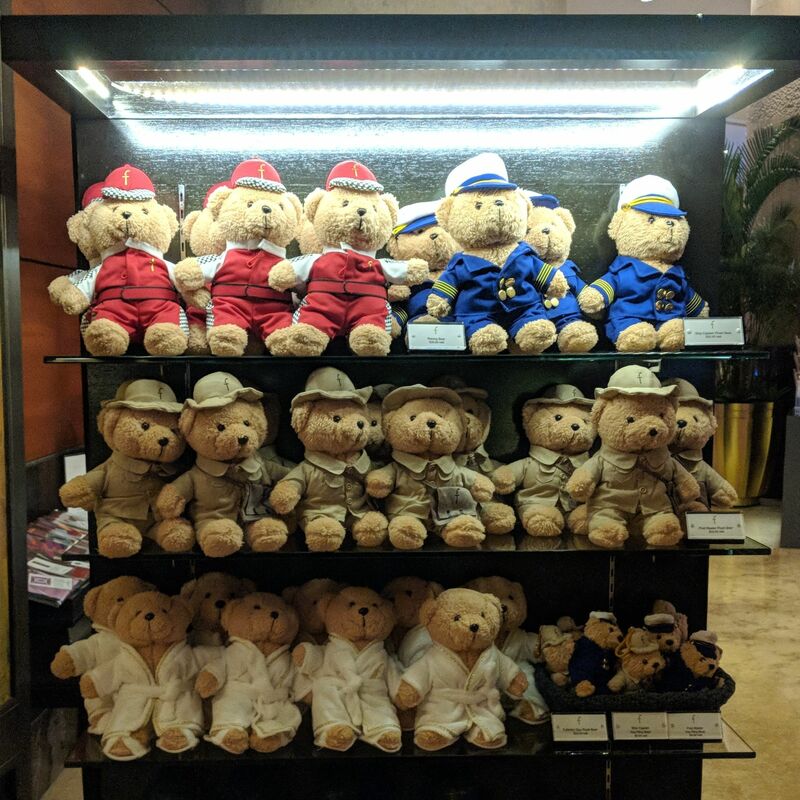 The store stocks a collection of the hotel’s signature teddy bears in various uniforms and costumes, with my favourite being The Fullerton Spa plush bear – just look at those slippers in them little feet. 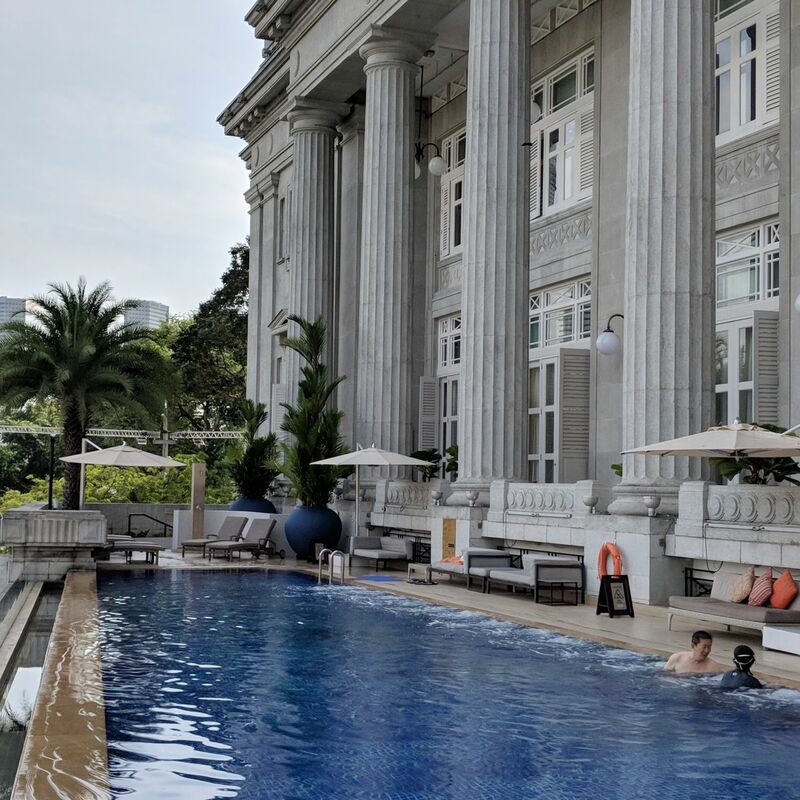 On the second floor, you can find the 25-metre outdoor infinity pool overlooking the Singapore River, with the dramatic Doric columns behind the pool lending a sense of austere Greek majesty. 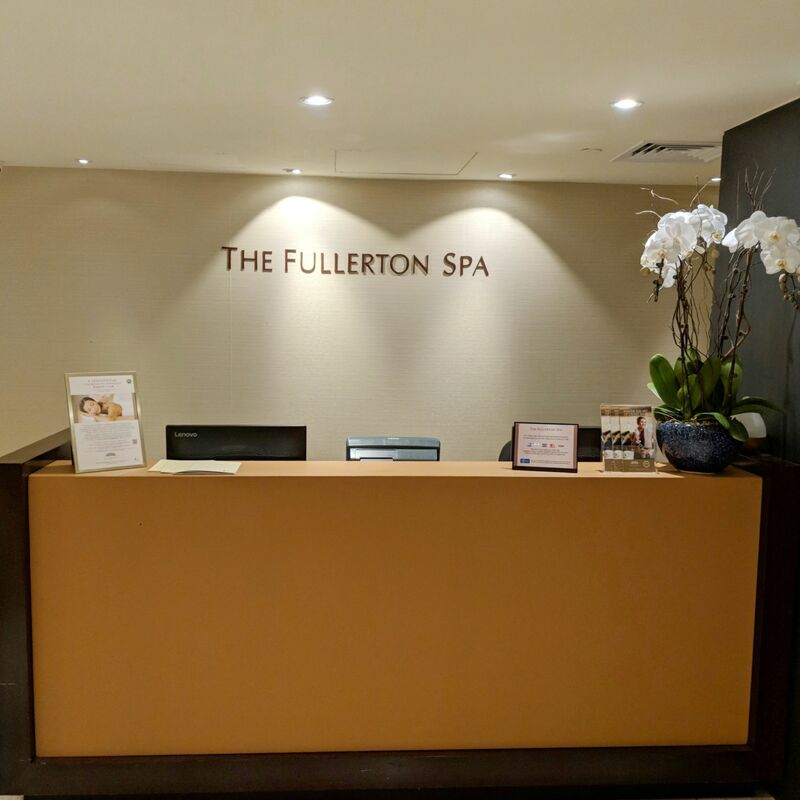 The fitness centre and The Fullerton Spa are situated on the mezzanine floor (1M). Singapore River (The Fullerton Hotel Singapore). East Garden Foyer (The Fullerton Hotel Singapore). 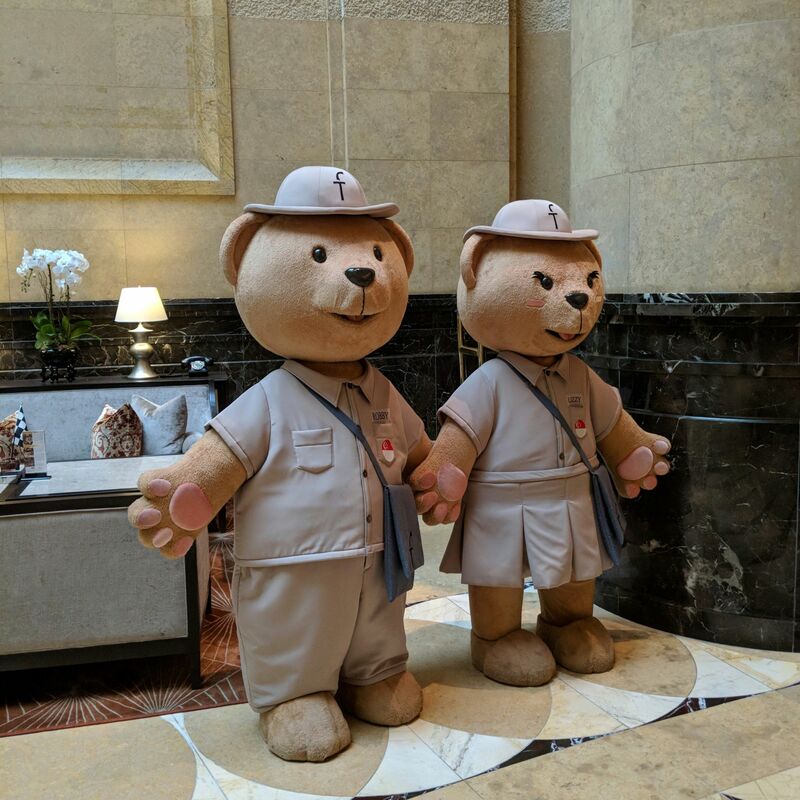 Robby and Lizzy (The Fullerton Hotel Singapore). The Fullerton Shop (The Fullerton Hotel Singapore). View from the Top Floor (The Fullerton Hotel Singapore). 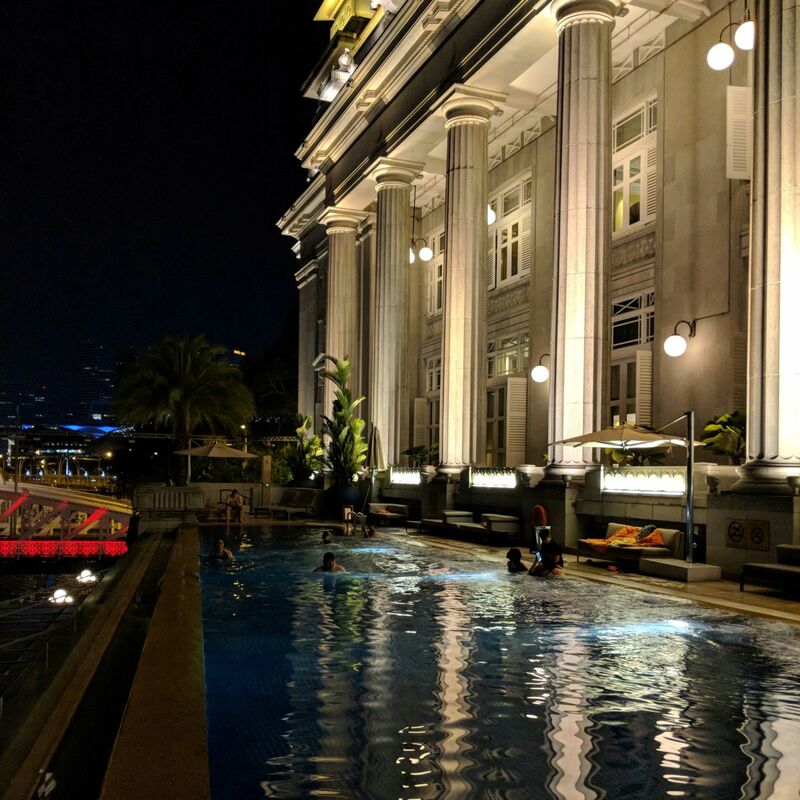 Pool (The Fullerton Hotel Singapore). 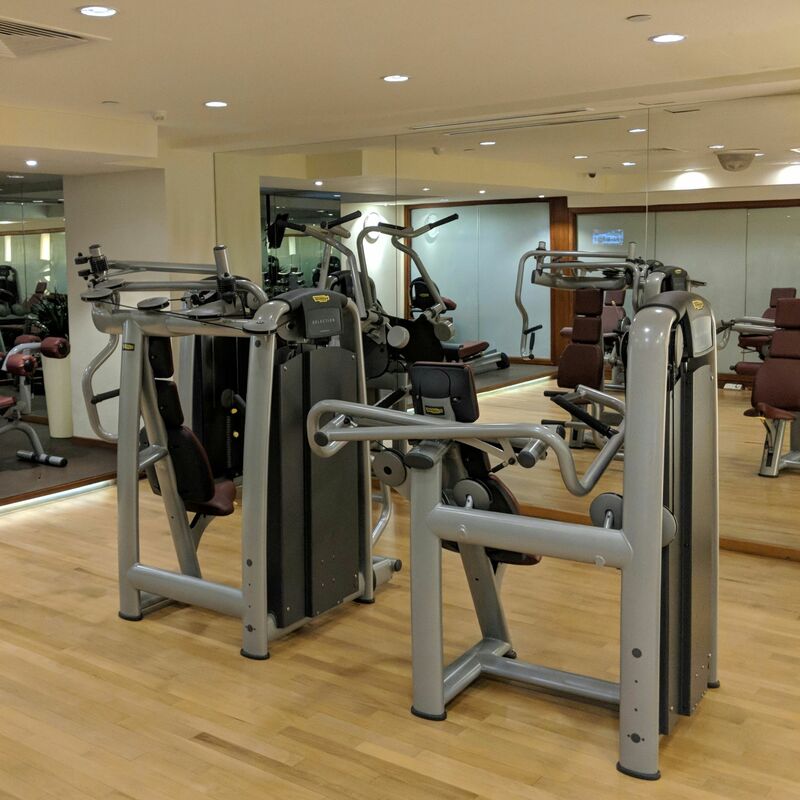 Gym (The Fullerton Hotel Singapore). 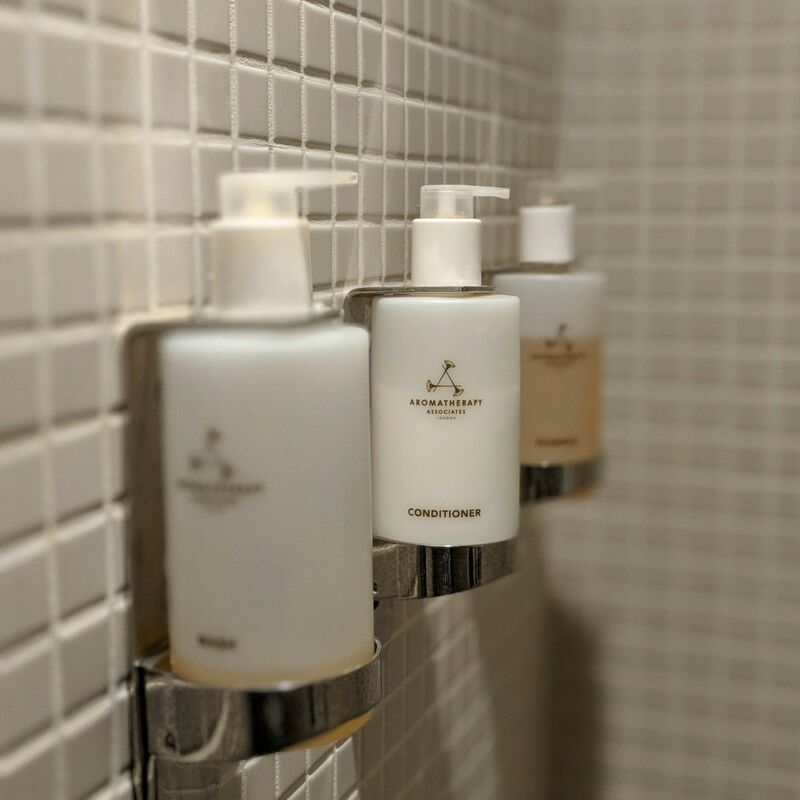 The award-winning The Fullerton Spa offers a range of different therapies and treatments – with one facial treatment specially designed for men – and uses all-natural products by Aromatherapy Associates. 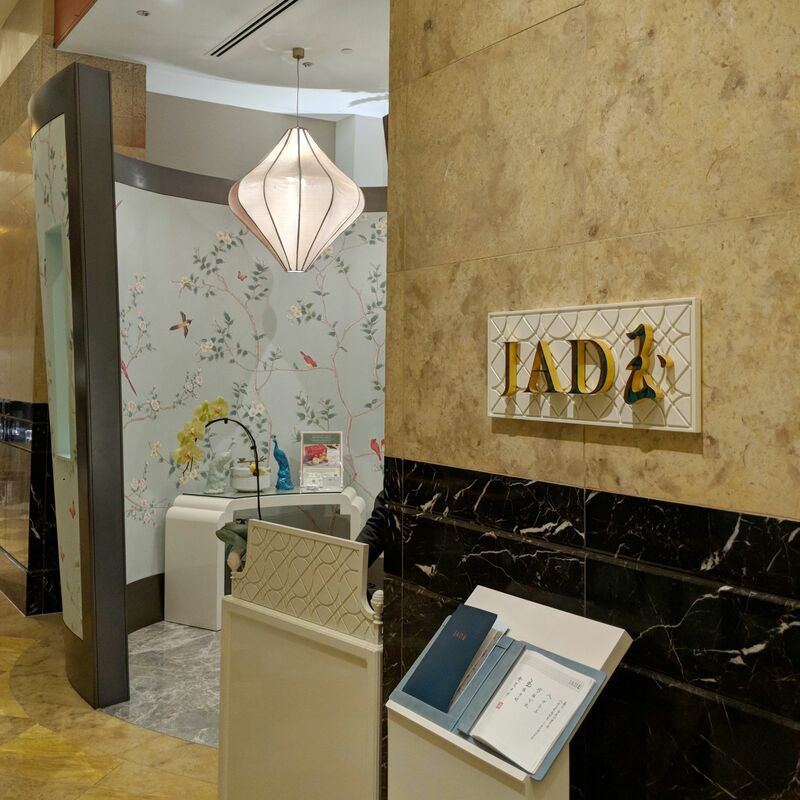 I tried the hotel’s 90-minute The Asian Heritage Signature, which purports to clear blockages in my “meridians” via a combination of stretching, chi balancing and Chinese pressure point techniques to detoxify and energise the body and spirit. After a consultation with my spa therapist, a warm and friendly lady named Diane, I bravely opted for medium-strong pressure, and the experienced therapist delivered the deep tissue goods accordingly like a consummate professional. 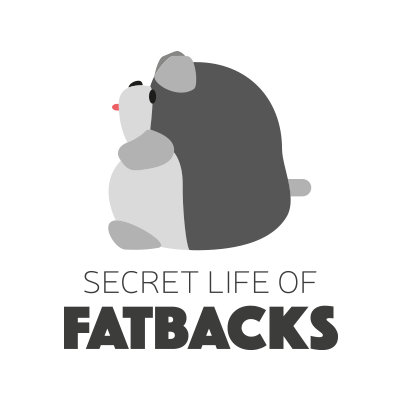 I felt extremely at ease throughout the session, even during the moments when my surprisingly high quality disposable underwear (which did not make me feel like a Geylang Lorong 8 night-walker like those offered in other spas) were pulled below my exposed peach lotus paste buns. The only exception was when Diane tackled my upper back with a Xena, Warrior Princess-esque vigour, applying a blend of warmed rosemary, ginger, lavender and black pepper oils and exerting certain toe-curling presses which caused me to grit my teeth to stop myself from squealing like a baby girl (“man up and don’t let the auntie judge you for being weak, fool!”). At that point, my meridians were not so much unblocked as they were annihilated, vacuumed and suction pumped. 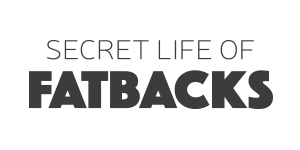 However, in manner of magical spell or similar, once the session was finally over, I actually did emerge feeling more relaxed and rejuvenated. Perhaps that whole “no pain no gain” adage was true all along. 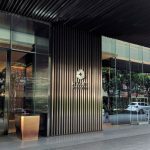 The Fullerton Spa (The Fullerton Hotel Singapore). 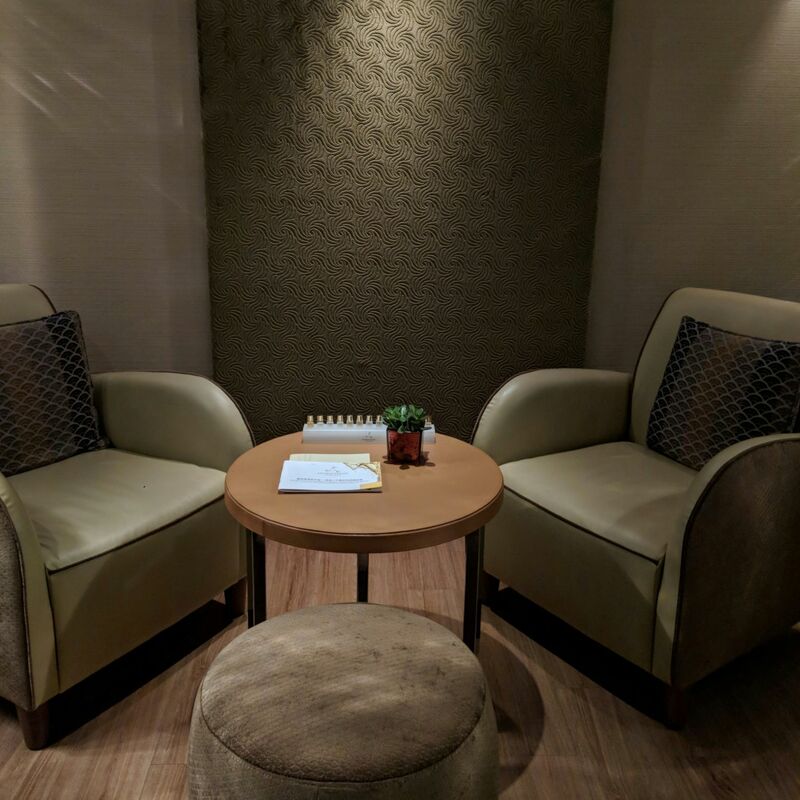 Consultation Room, The Fullerton Spa (The Fullerton Hotel Singapore). 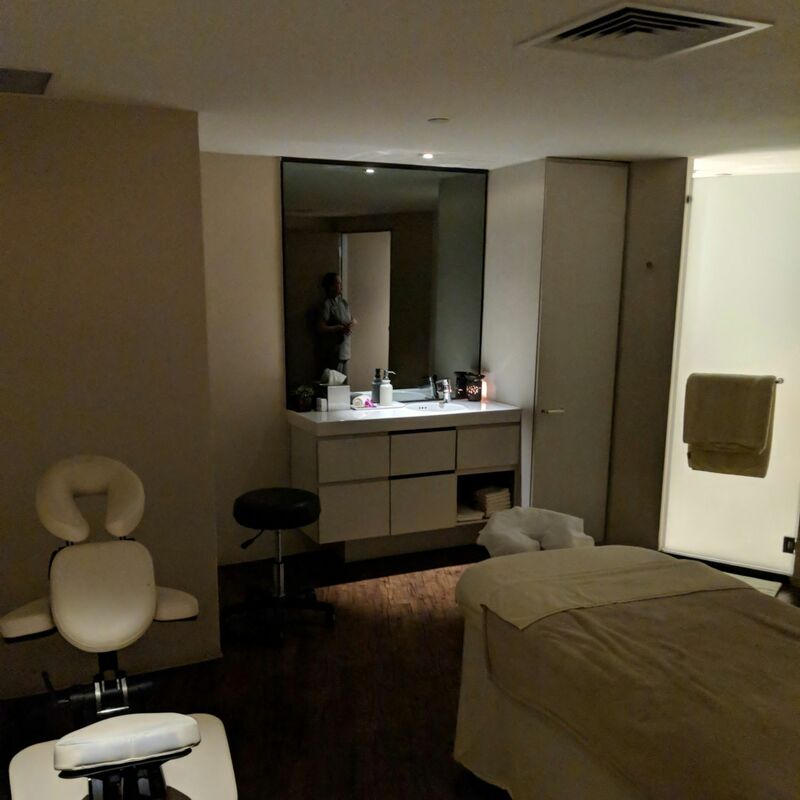 Treatment Suite, The Fullerton Spa (The Fullerton Hotel Singapore). 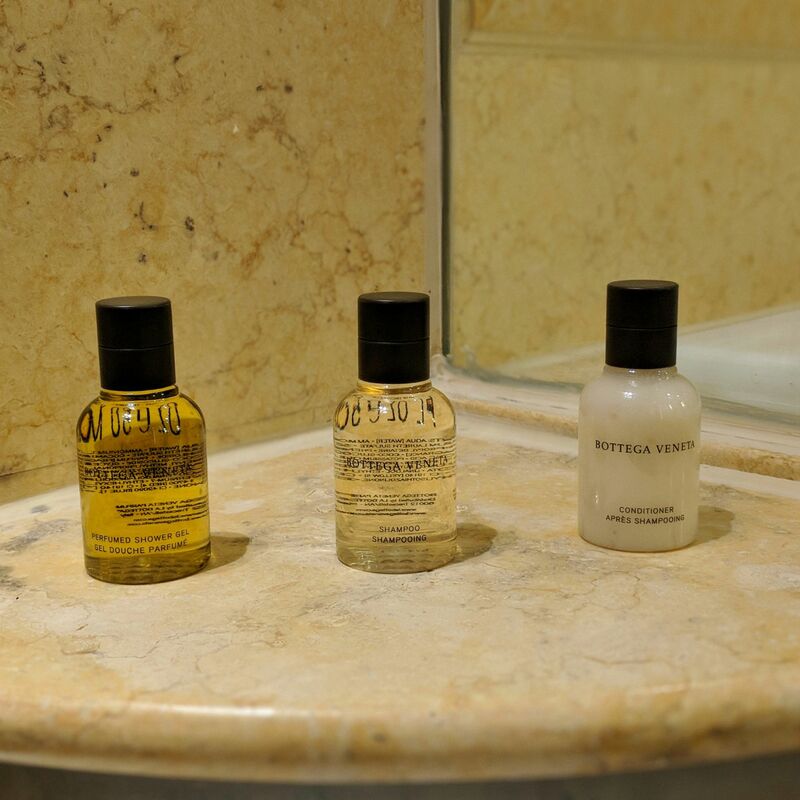 Post-Treatment Shower, The Fullerton Spa (The Fullerton Hotel Singapore). 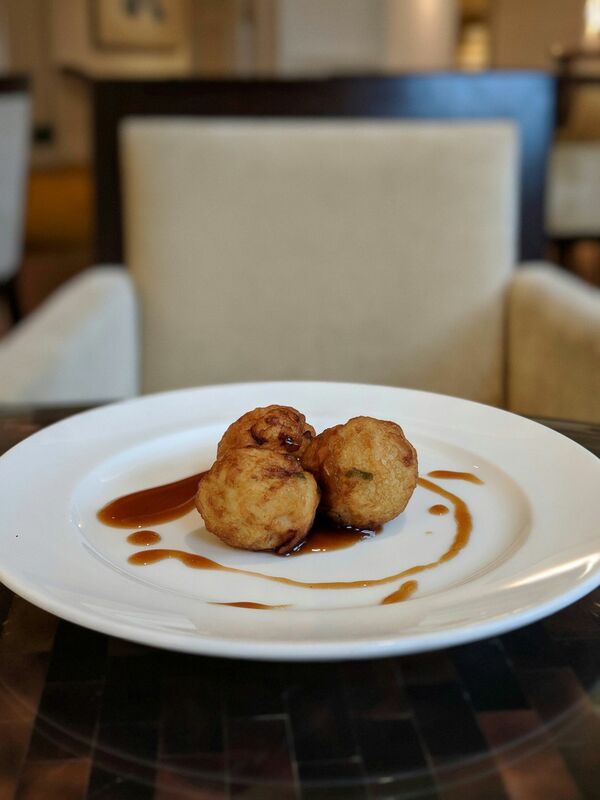 Any stay at The Fullerton Hotel Singapore would not be complete without the Straits Club lounge experience. 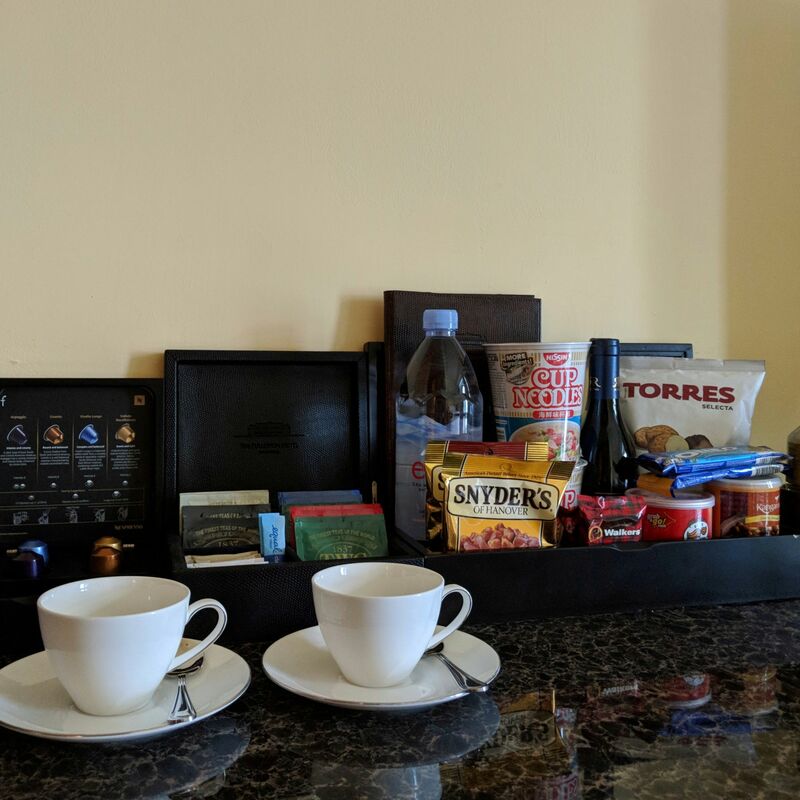 Guests of the Straits Club enjoy privileges such as in-room registration, champagne breakfast (?! 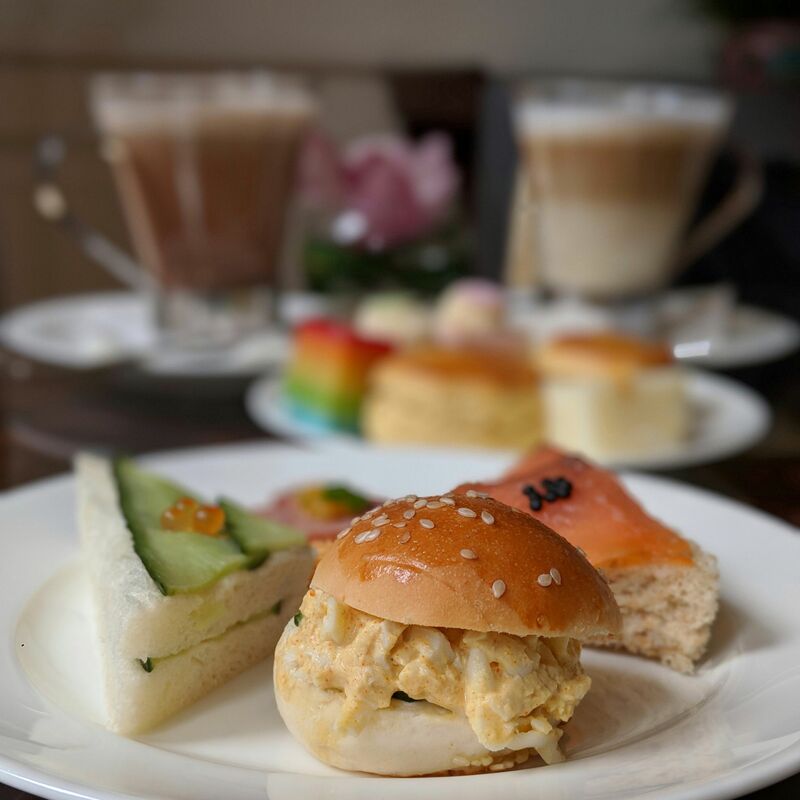 ), afternoon tea, evening canapés and cocktails. 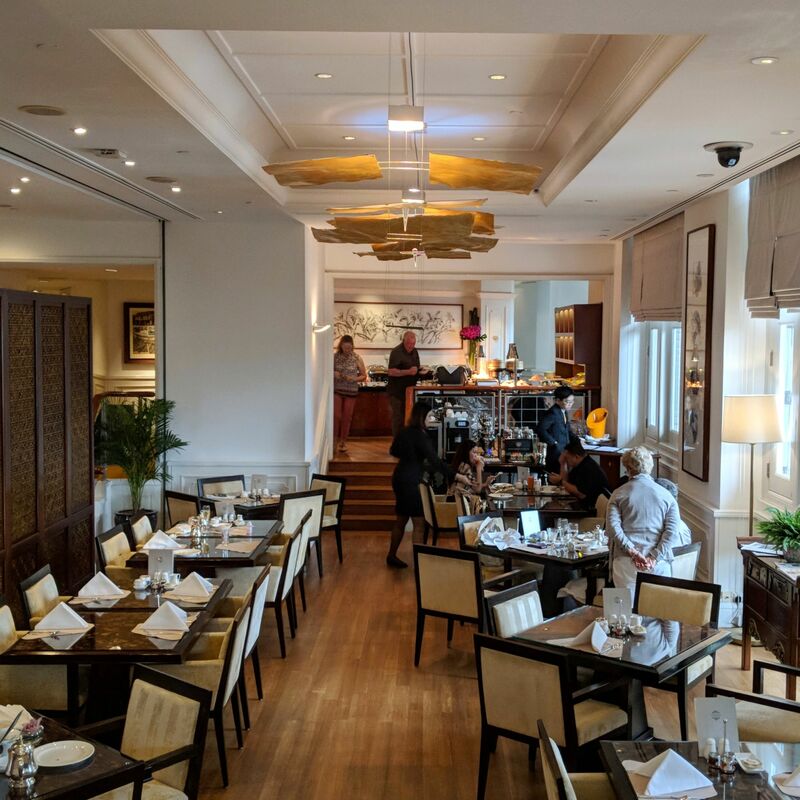 Reminding me of InterContinental Singapore with its vintage Peranakan stylings, the Straits Club lounge is one of the best lounges I have come across. 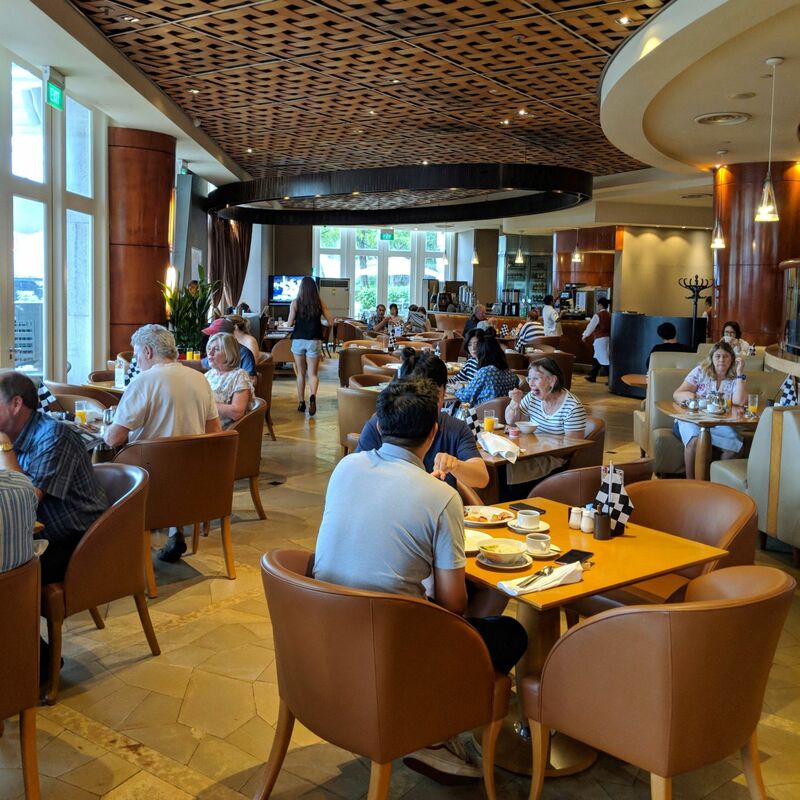 Breakfast at the Straits Club lounge was one of the highlights of my stay. On my first morning, the daily special was lontong sayur (rice cakes with vegetable stew in coconut milk) with the egg of the day being a classic American sunny-side up; the hotel lounge served pan-fried turnip cake on the second day, with the egg of the day being the very exotic Russian vodka scrambled eggs with caviar. 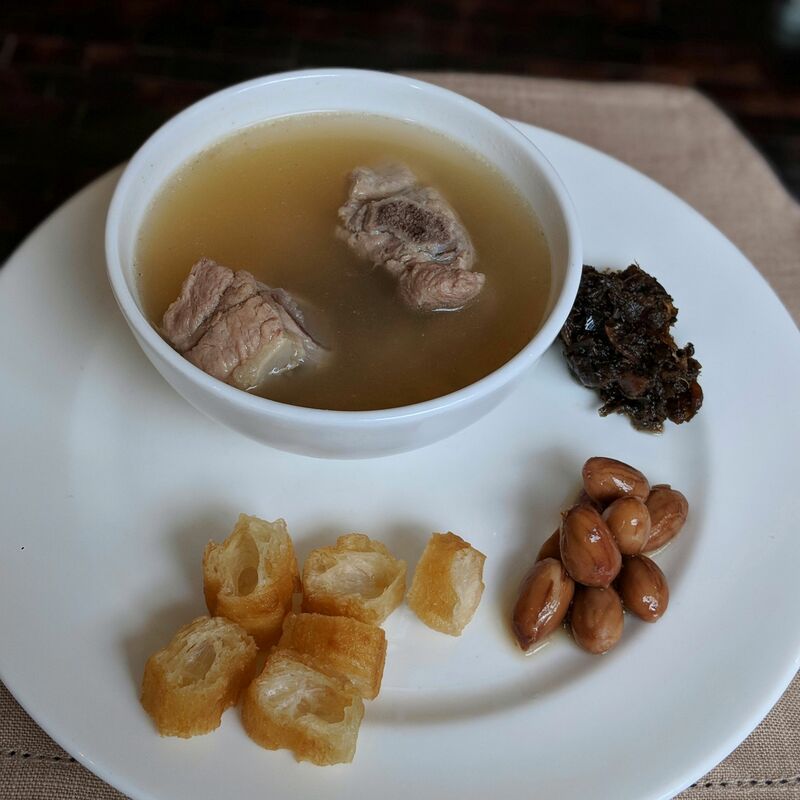 A fairly competent bak kut teh (pork rib dish cooked in broth) was available on both days as part of the breakfast buffet spread. If the usual coffee or tea is not good enough for a morning pick-me-up, you can help yourself to free-flow Veuve Clicquot champagne. Talk about crazy rich indulgence. The spirits used for the cocktails (think Singapore Sling, Kir Royale and Cosmopolitan) were not particularly fancy (e.g. Gordon’s gin and Bacardi rum) but the house merlot and chardonnay proved to be suitably reliable, and you can never go wrong with more Veuve Clicquot champagne. 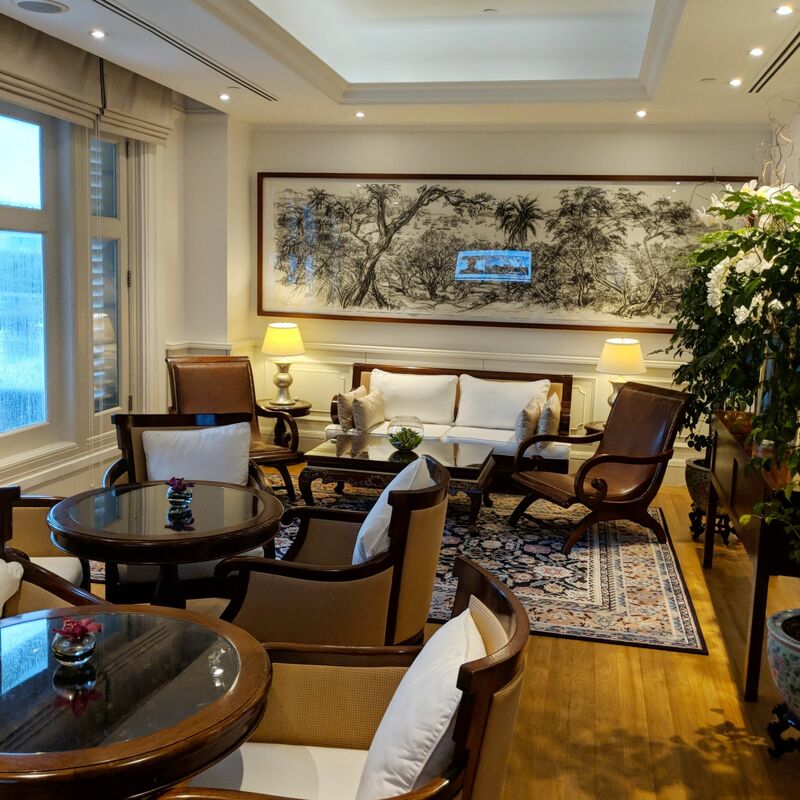 The Straits Club Lounge (The Fullerton Hotel Singapore). 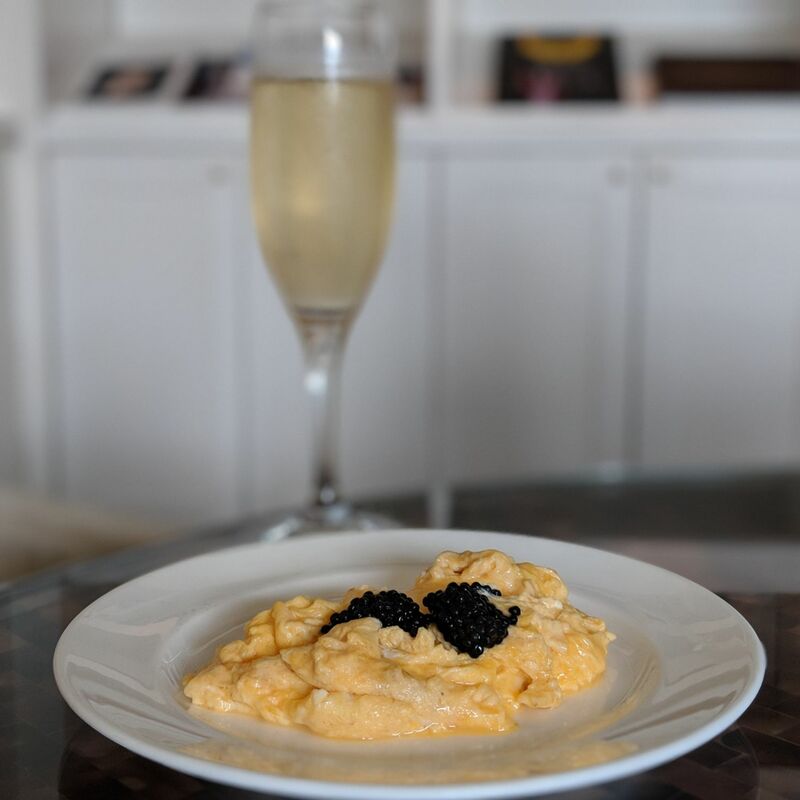 Champagne Breakfast, The Straits Club Lounge (The Fullerton Hotel Singapore). 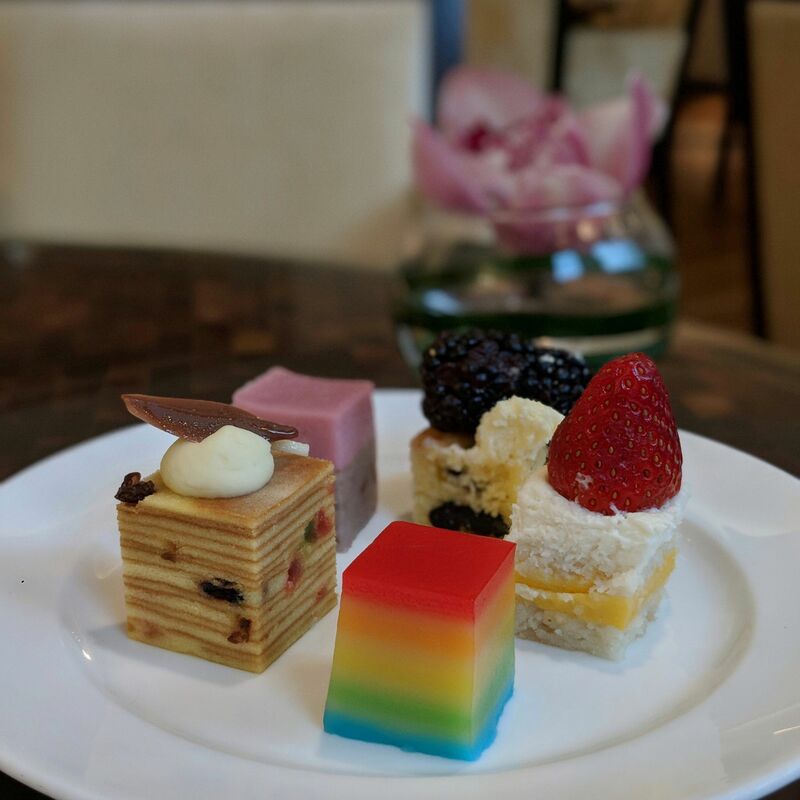 Afternoon Tea, The Straits Club Lounge (The Fullerton Hotel Singapore). 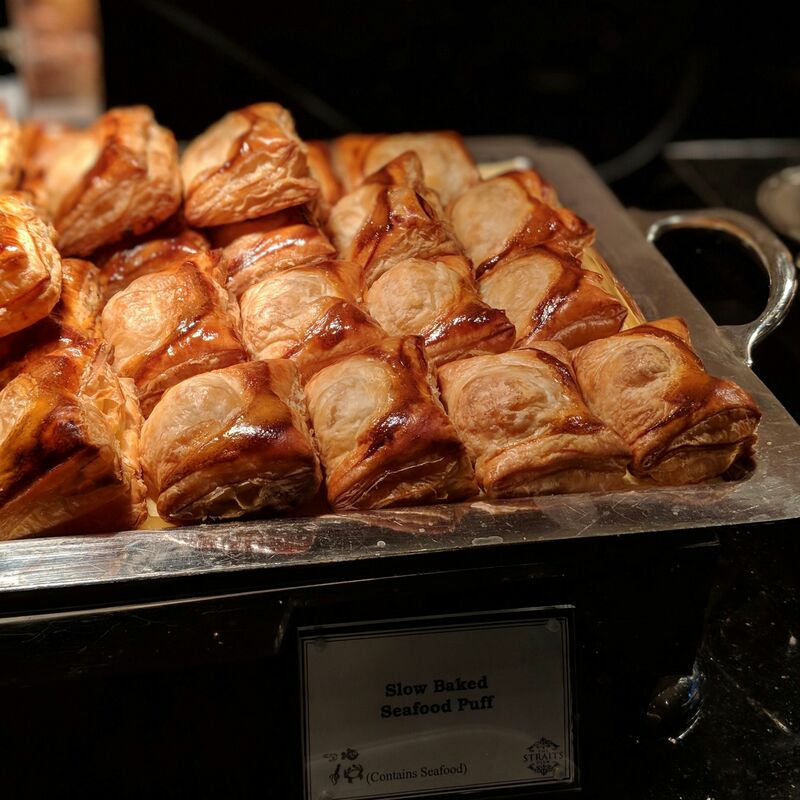 Evening Canapes, The Straits Club Lounge (The Fullerton Hotel Singapore). 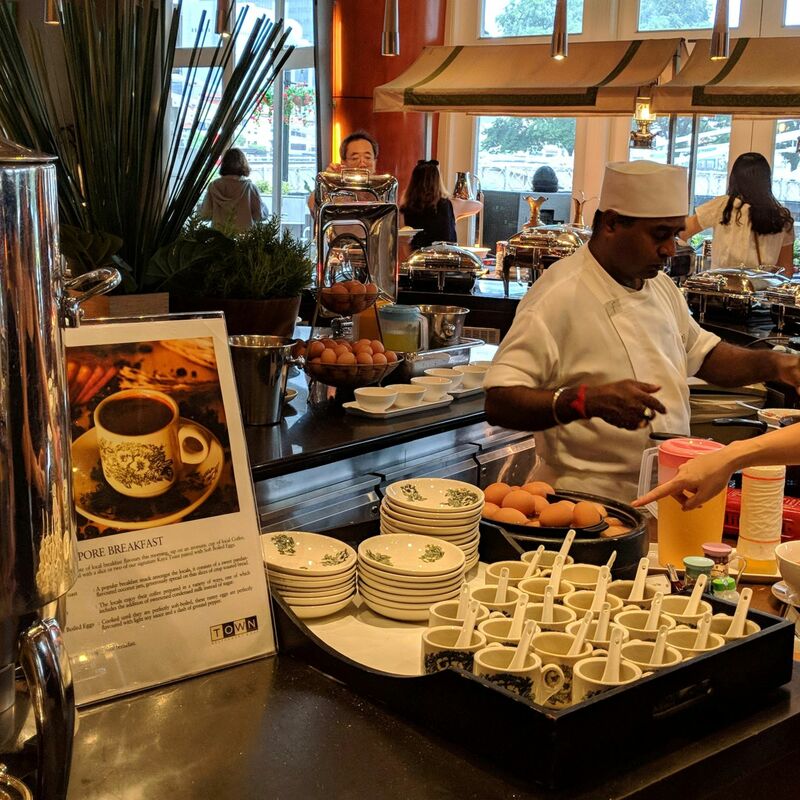 The hotel serves breakfast at Town Restaurant, the hotel’s international buffet restaurant. 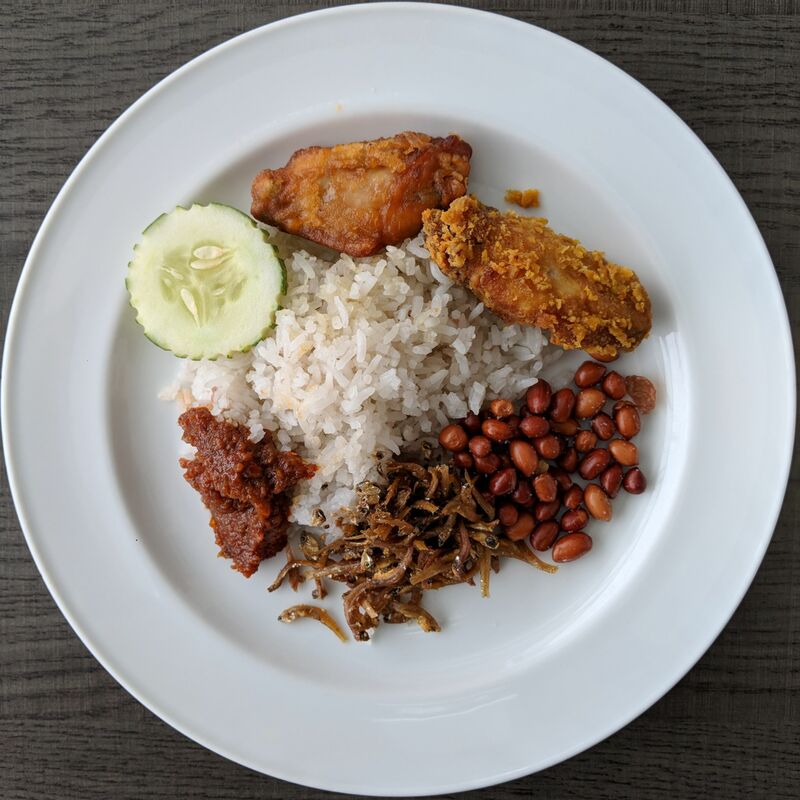 Aside from the usual suspects you would expect from a luxury hotel continental breakfast, a variety of Singapore breakfast options are also available, such as prata and chicken curry, nasi lemak, buttered kaya toast, soft-boiled eggs and Singapore coffee. 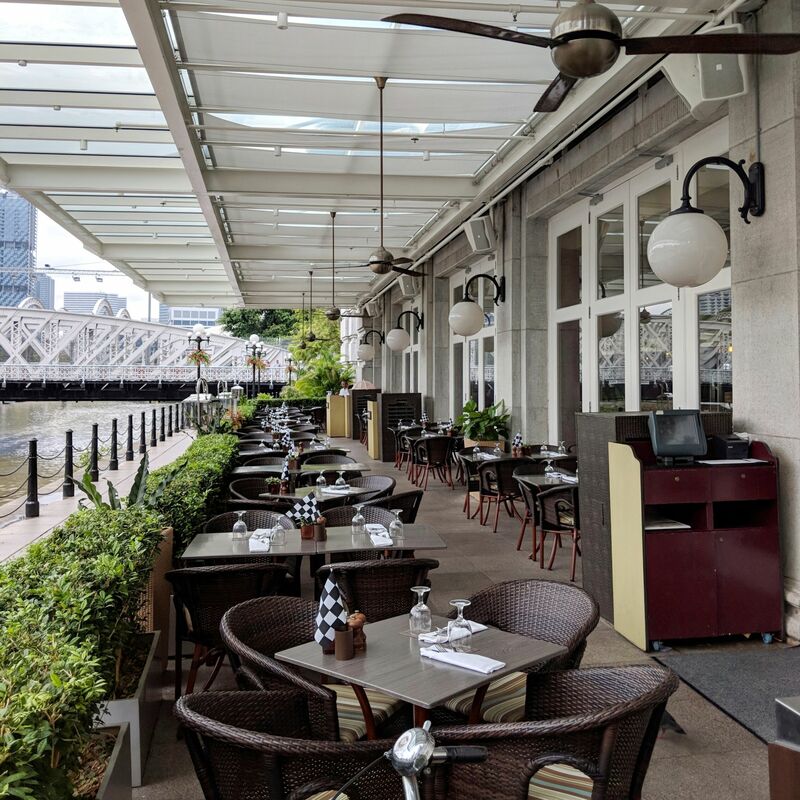 While I enjoyed the leather-finished indoor seats, I definitely preferred the al fresco waterfront terrace seating, which allowed me to enjoy the lovely Singapore River breeze. Just watch out for the cunning birds, who patiently await an opportune moment to strike when you leave your table unattended. 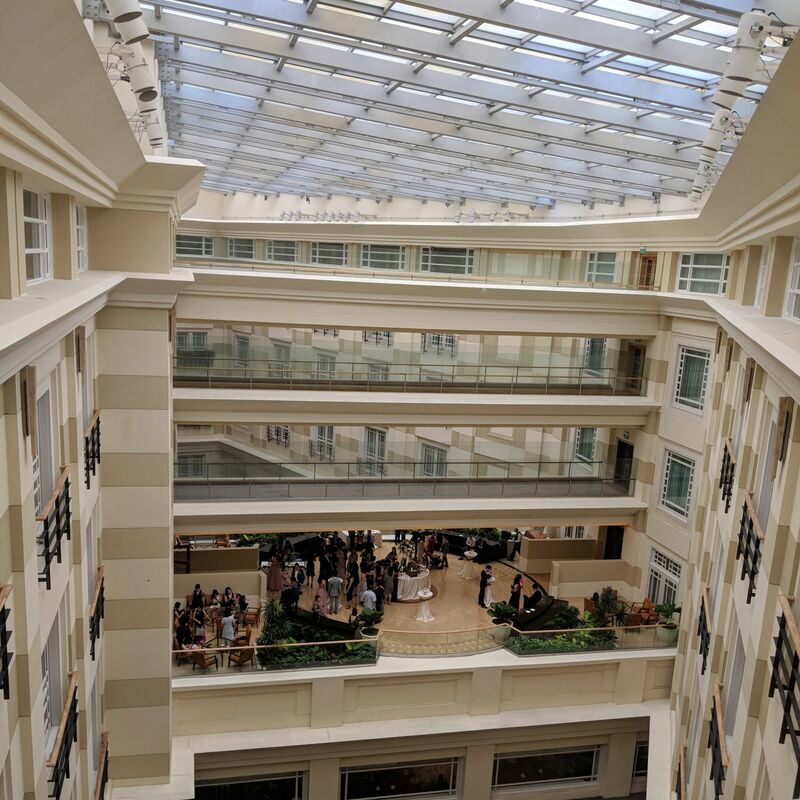 The Courtyard is the hotel’s happily-sunlit atrium lobby lounge. One of my favourite places to get work done or to do some reading, the lounge is also a popular daytime spot for Caucasian blazered business meetings and floppy hat tai-tai get-togethers. 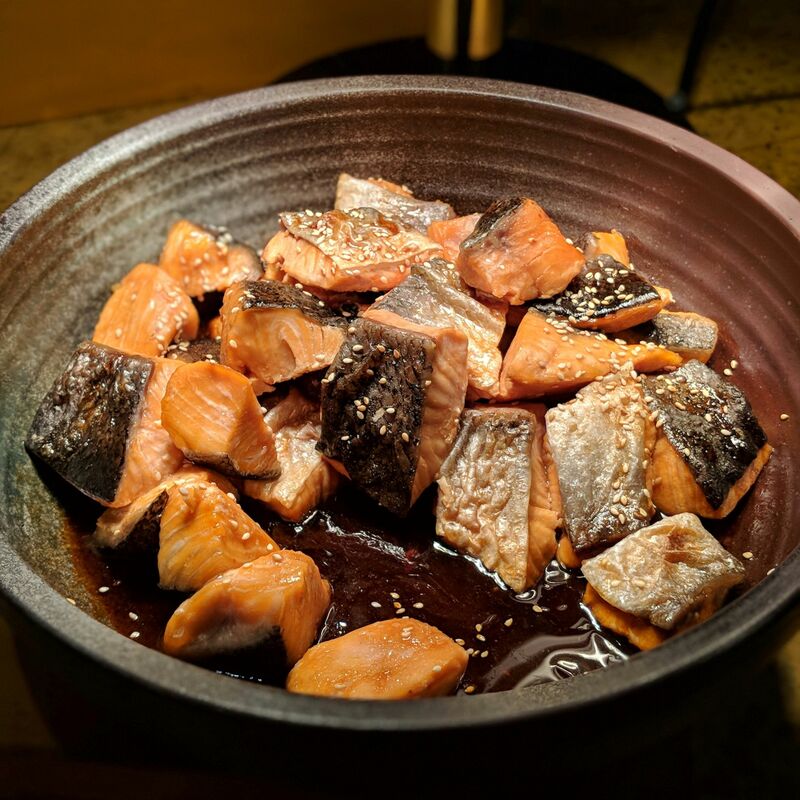 Post Bar serves up tipples and feel good tapas (think mini burgers, fries and quesadillas) in a stylish and contemporary setting that honours its former General Post Office origins. Swanky Cantonese restaurant Jade, well-known for their weekend dim-sum buffet, keeps the Chinese proceedings elegant with its beautiful bird motifs and distinctive jade colour palette, while elsewhere Italian concept The Lighthouse Restaurant & Rooftop Bar commands an impressive view of the bay area. 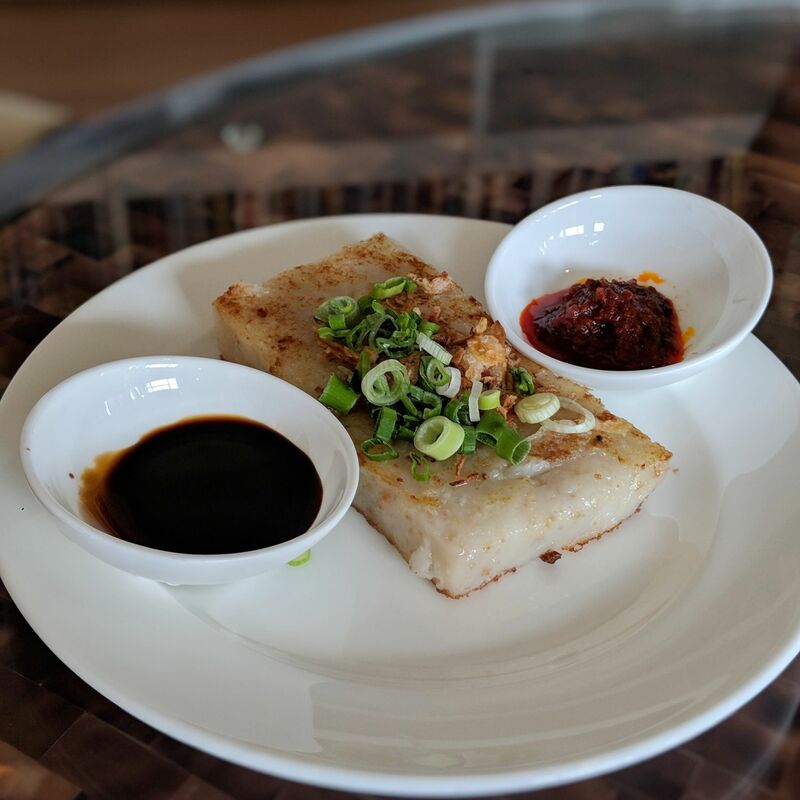 Guests dining at either Town Restaurant or The Courtyard should consider trying the two heritage ice cream flavours – Kueh Lapis and Kaya – which are available by the scoop as well as in the form of a plated dessert. 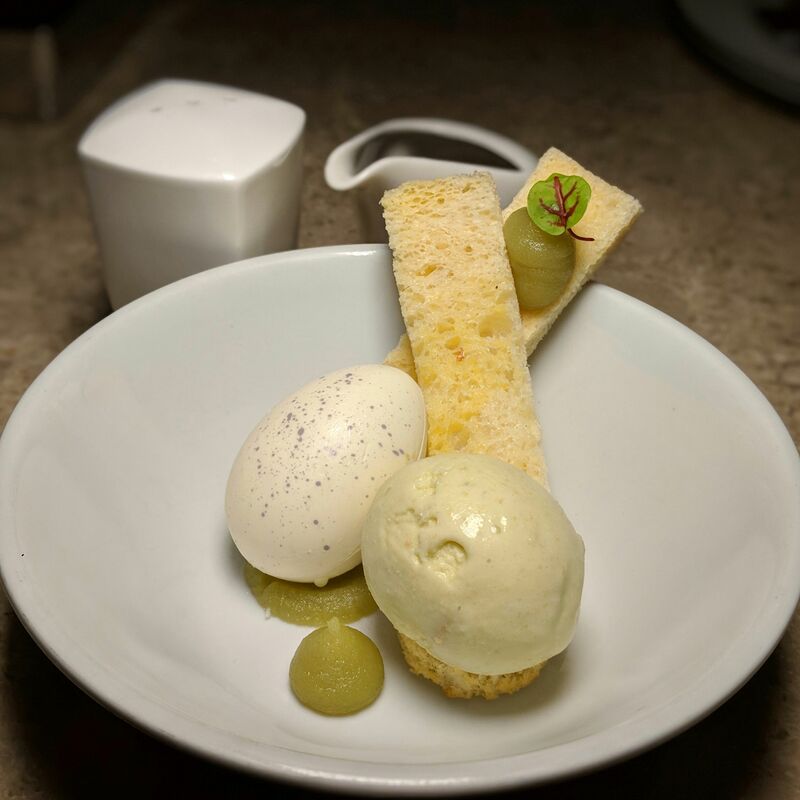 The Fullerton Hotel Singapore worked closely with Creamier, the wildly successful local ice cream concept, to perfect the heritage ice cream flavours. 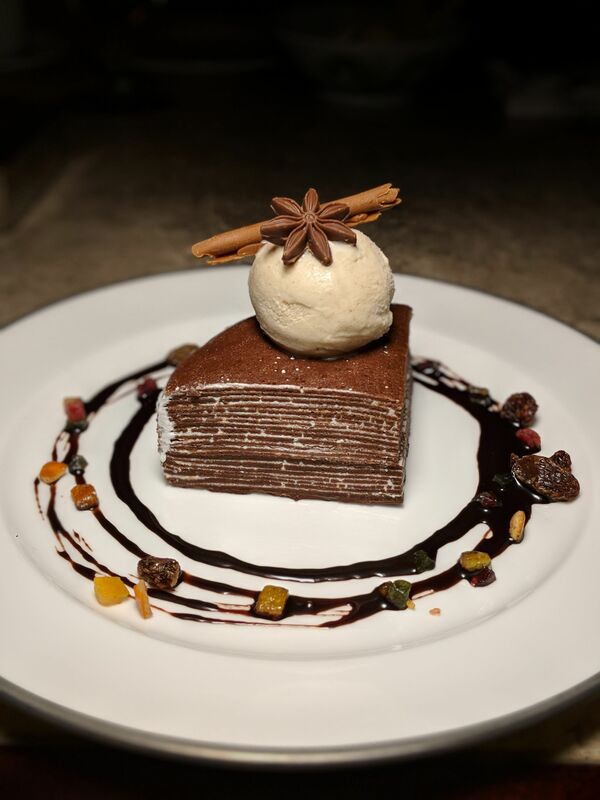 The milky Kueh Lapis ice cream (served with mille feuille) has more spice in its soul than Geri Halliwell, whilst the playful Kaya Toast plated dessert – served with white chocolate “shells”, toasted brioche, chocolate “soy sauce” and icing sugar “pepper” – is a crowdpleaser. 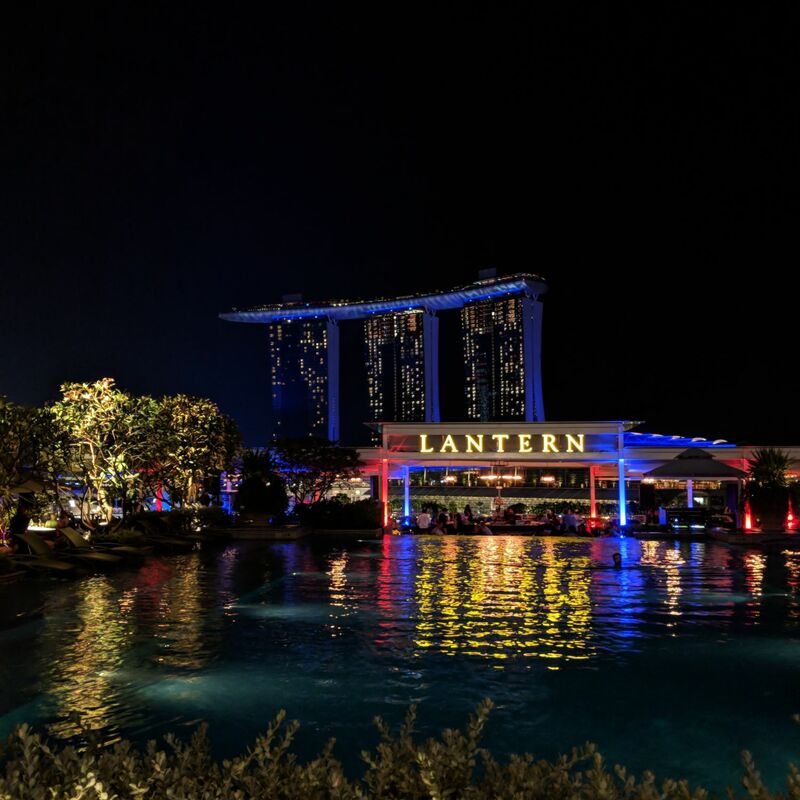 As The Fullerton Bay Hotel Singapore is easily accessible via underground walkway, guests can consider spending their sunset moments at Lantern, the stylish rooftop bar which offers a breathtaking and very intimate view of the Marina Bay waterfront. The relaxing evening I spent at Lantern was, apart from when I had champagne and vodka scrambled eggs for breakfast, probably the most Crazy Rich Asians moment of the stay. As I sank deep into the couch, facing the banana structure that is Marina Bay Sands and watching the skies beyond transition from the brilliant blue of evening to the dramatically inky black of night, surrounded by energetic ang moh drinkers and classy Japanese tourists, letting the clubby beats of house music wash around me as I enjoyed a platter of Korean gourmet snacks (it was Seoul Night) and some of Lantern’s signature cocktails, I thought to myself – “this is so utterly frivolous, and I would not have it any other way”. Outdoor Seating, Town Restaurant (The Fullerton Hotel Singapore). Town Restaurant (The Fullerton Hotel Singapore). 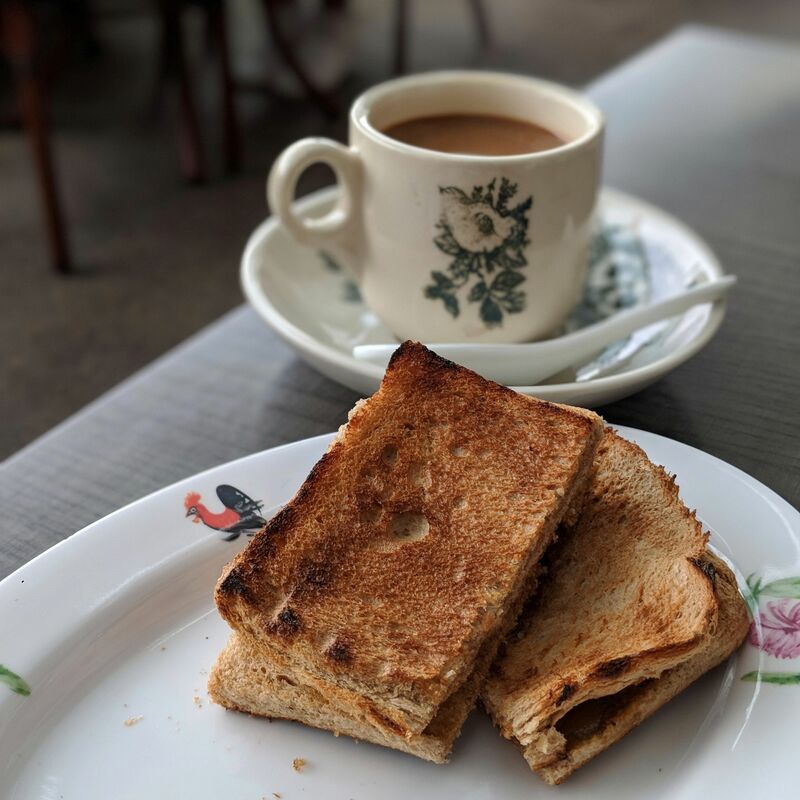 Breakfast, Town Restaurant (The Fullerton Hotel Singapore). 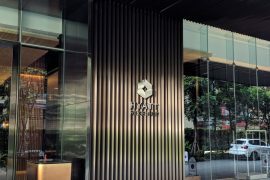 Japanese Station, Breakfast, Town Restaurant (The Fullerton Hotel Singapore). The Courtyard (The Fullerton Hotel Singapore). Kaya Toast Dessert, a collaboration dessert created with Creamier Singapore, available at The Courtyard (The Fullerton Hotel Singapore). Kueh Lapis Ice Cream with Mille Feuille, a collaboration dessert created with Creamier Singapore, available at The Courtyard (The Fullerton Hotel Singapore). 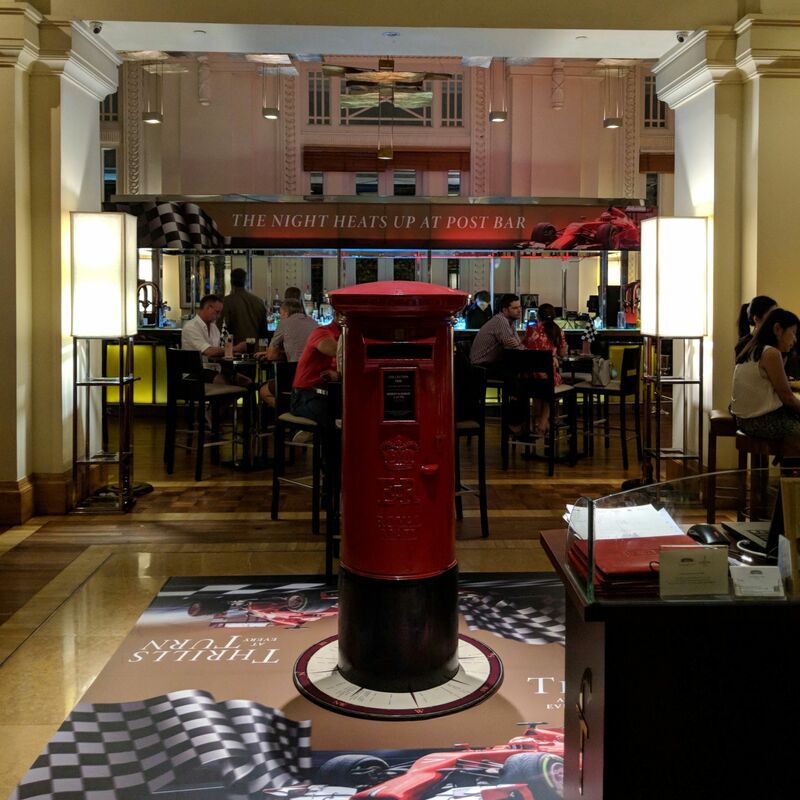 Post Bar (The Fullerton Hotel Singapore). Jade (The Fullerton Hotel Singapore). “Seoul Night” Platter and Signature Cocktails, Lantern (The Fullerton Bay Hotel Singapore). Lantern (Fullerton Bay Hotel Singapore). 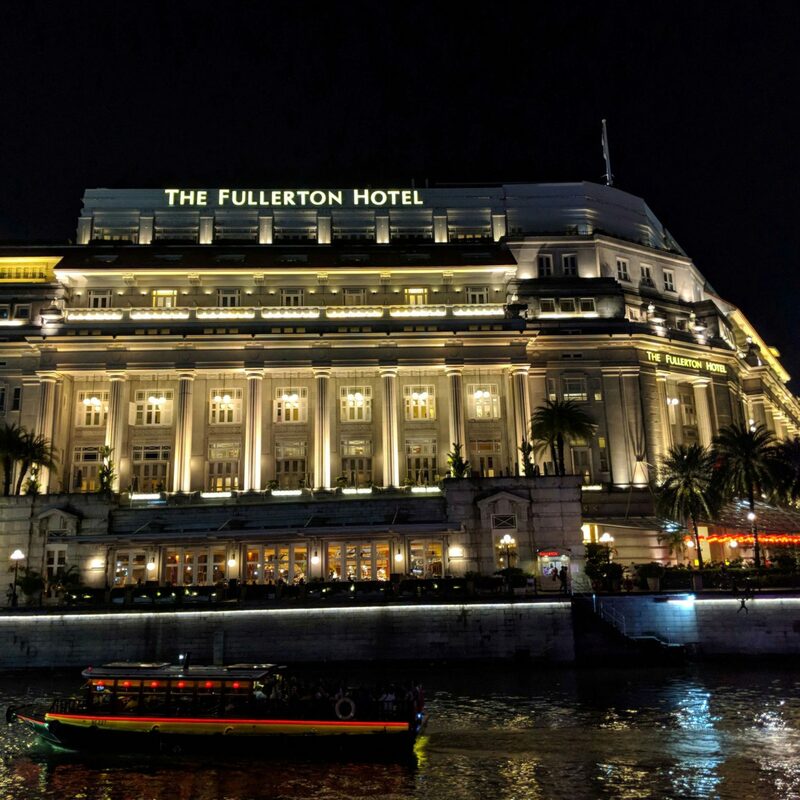 The Fullerton Hotel Singapore experience is not your ordinary luxury hotel experience. 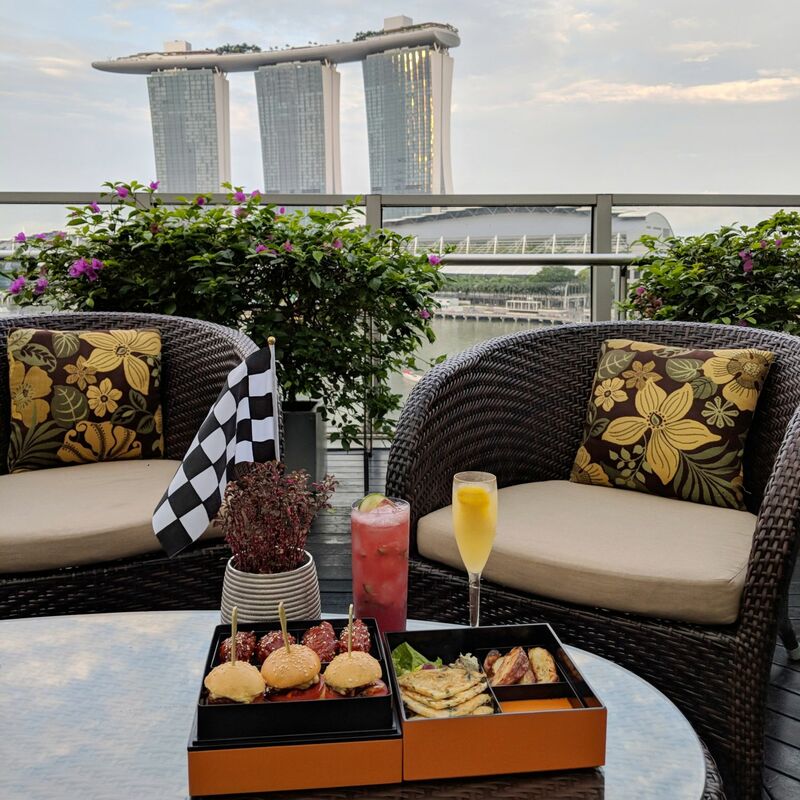 From the champagne breakfast to the vintage Rolls Royce transfers, from the wonderful Bottega Veneta amenities to the Marina Bay-loving views, a stay at the property – especially when you go for all the available bells and whistles that the hotel offers – is positively an exercise in escapist, Crazy Rich Asians-esque indulgence and excess. Unforgettable, crazy rich luxury. 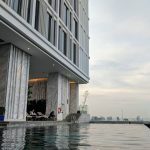 This post is written at the invitation of The Fullerton Hotel Singapore, although observations – and a fair share of wallet thinning – are solely mine.